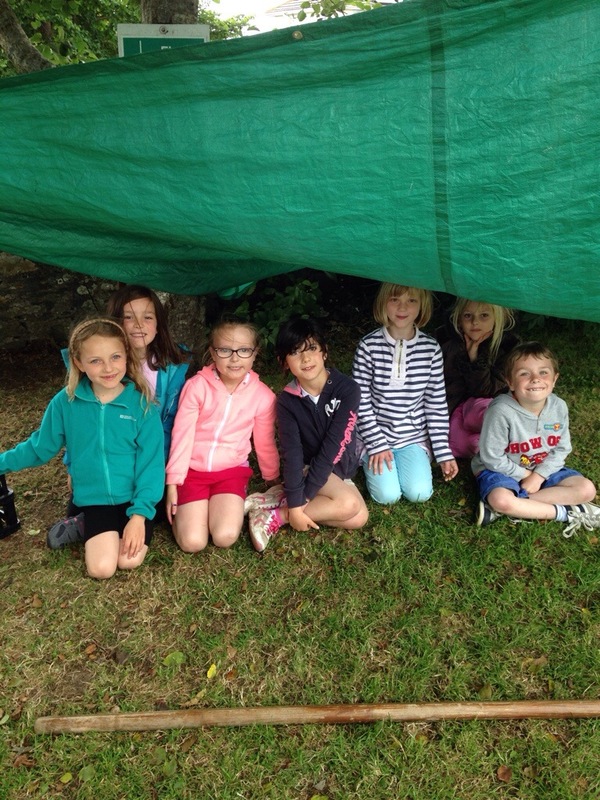 After a long day in the sunshine yesterday we woke up to slight rain but this did not dampen our spirits and we were eager for the days activities. 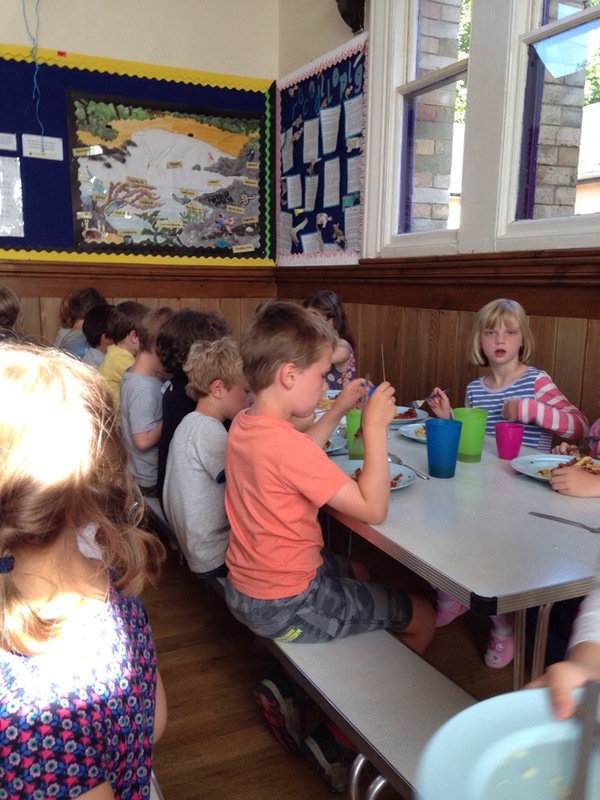 Mrs Stanton cooked us a hearty eggs and bacon for breakfast! 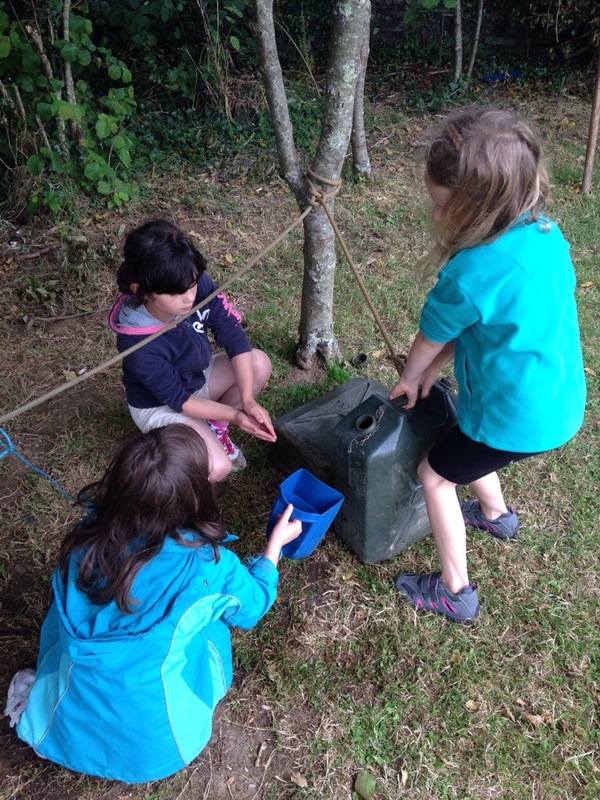 We then had to pack our suitcases and sort through the BOX OF DOOM-otherwise our leftover belongings would be fed to the CROCODILAPIGS! 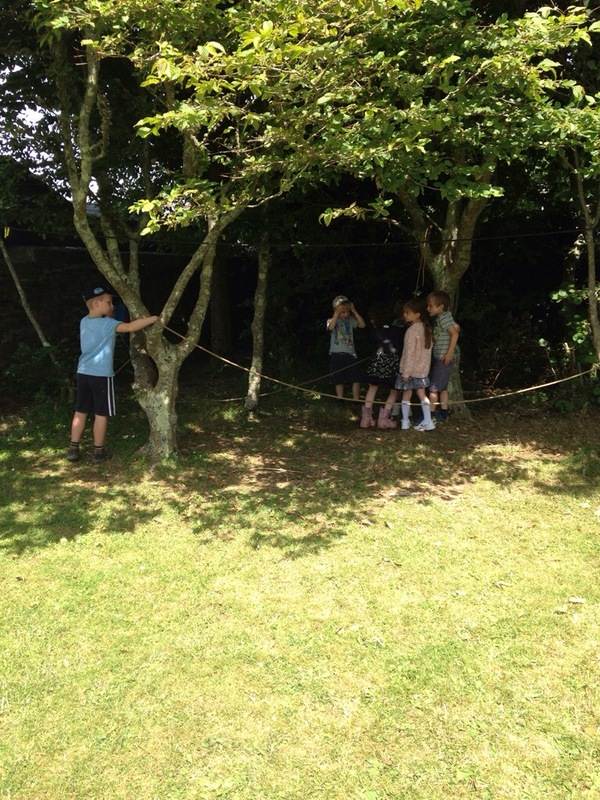 For today’s activities we swapped over so half of us completed archery and the other half completed the pirate challenge! 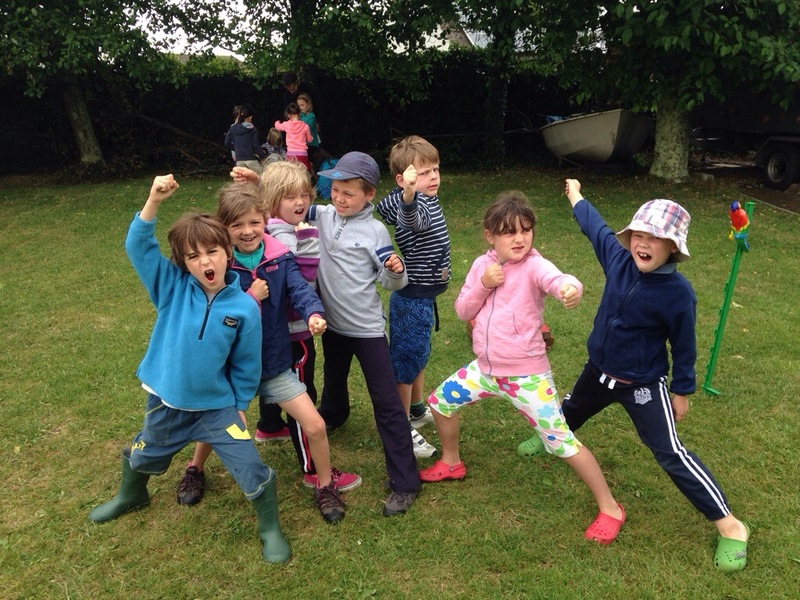 Well done to the winning team Captain Blackbeard for receiving 710 grotes (pirate money)!! 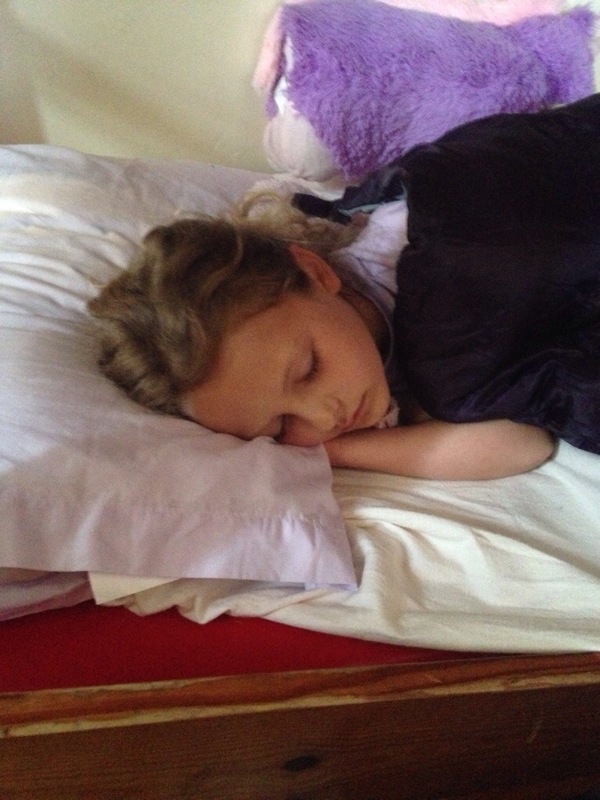 There will be a lot of early nights tonight. 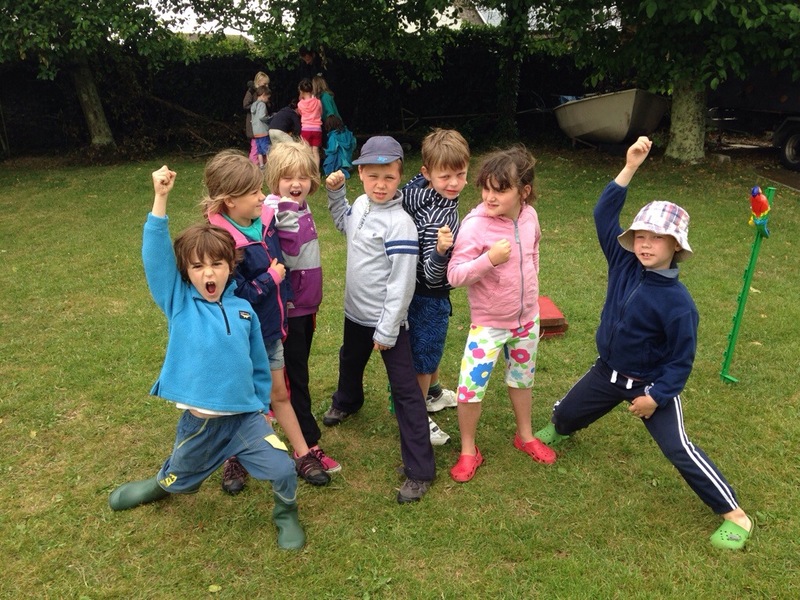 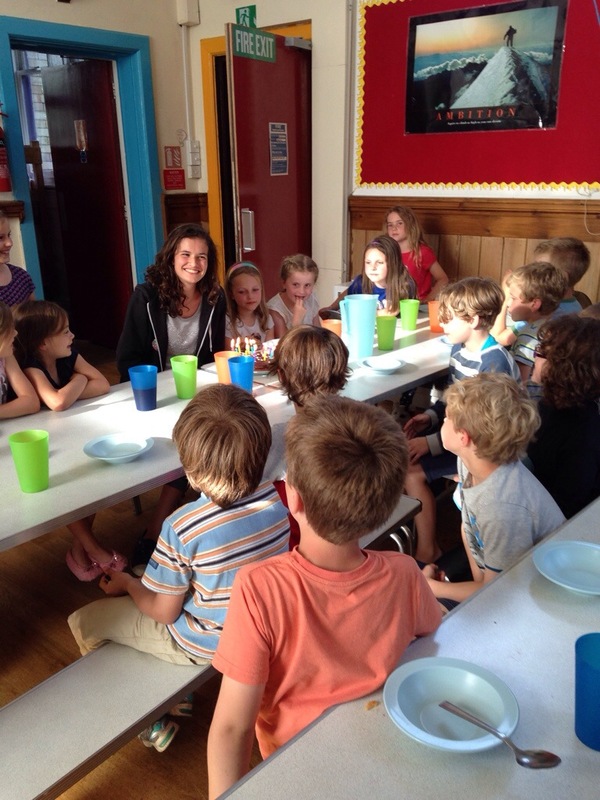 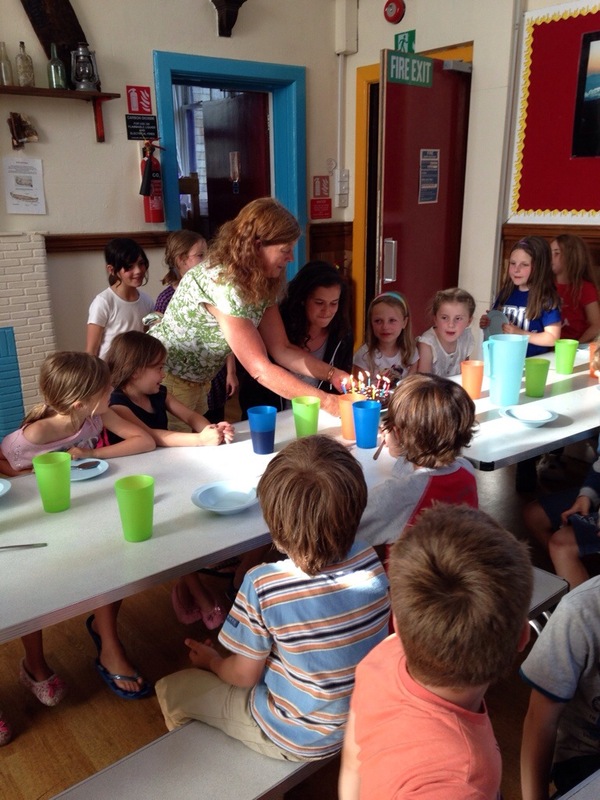 Well done to all the year twos for being absolutely fabulous on camp. 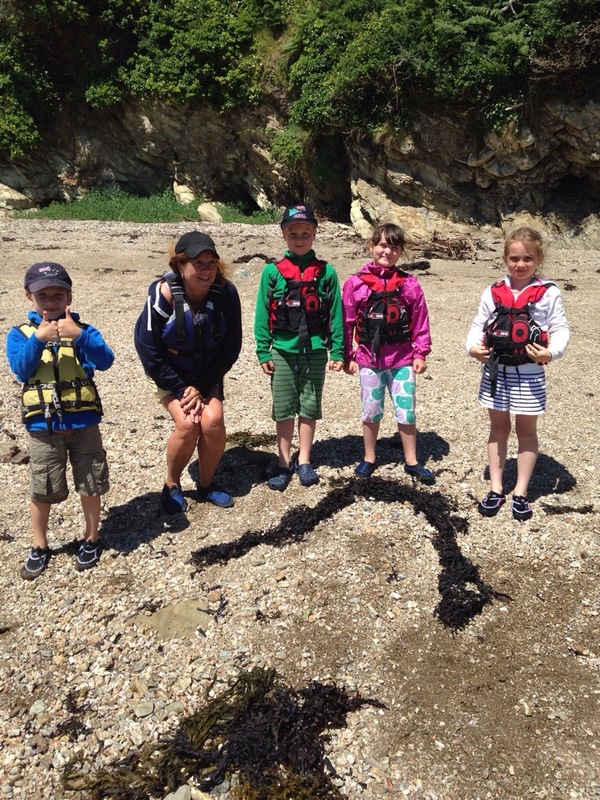 Thank-you to the Roseland Centre staff for making the camp adventurous and fun. 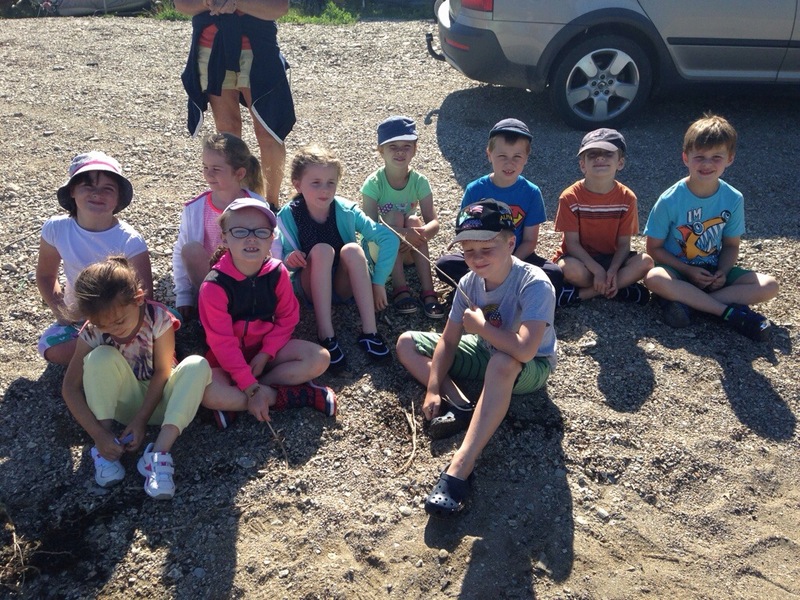 Thank-you to Mrs Stanton for our delicious meals and thank-you to Mrs Davies and Mrs O’Kane for being fabulous teachers on camp! 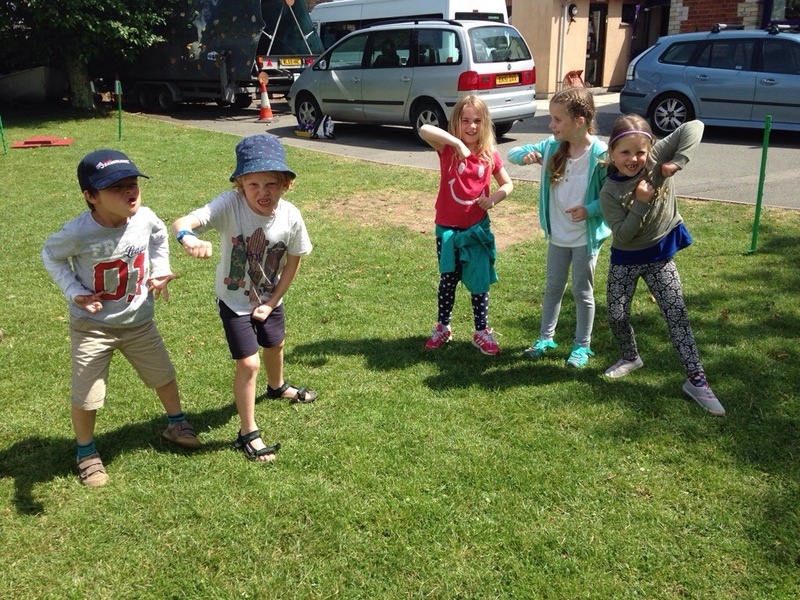 After our delicious breakfast we prepared for our water day remembering to slip on a t-shirt, slop on a sunhat and slap on some suncream! 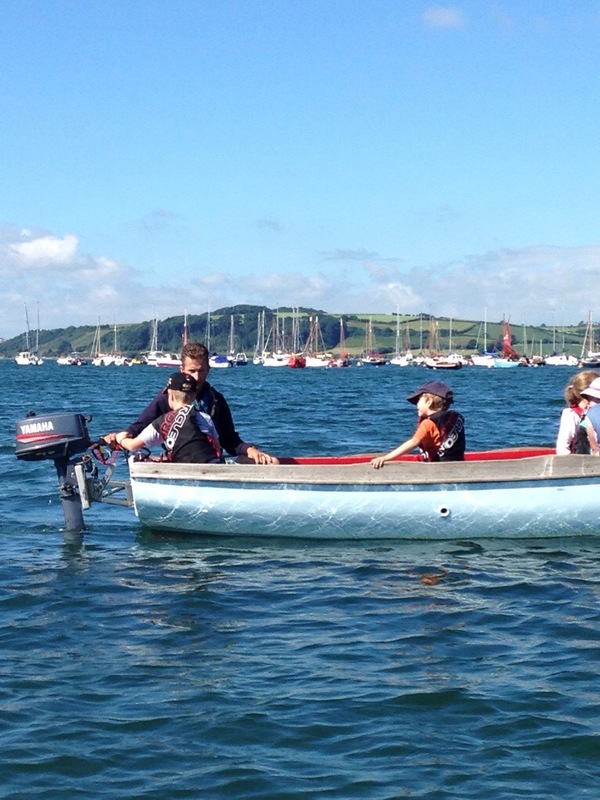 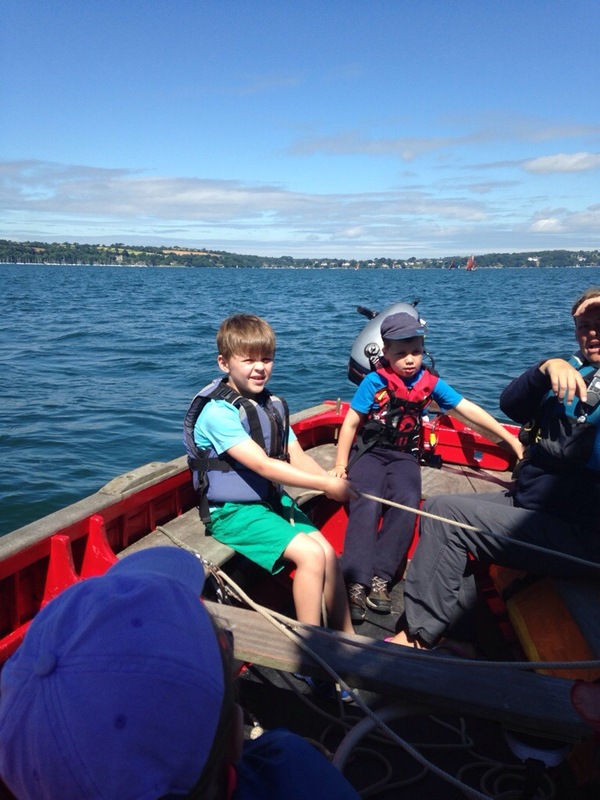 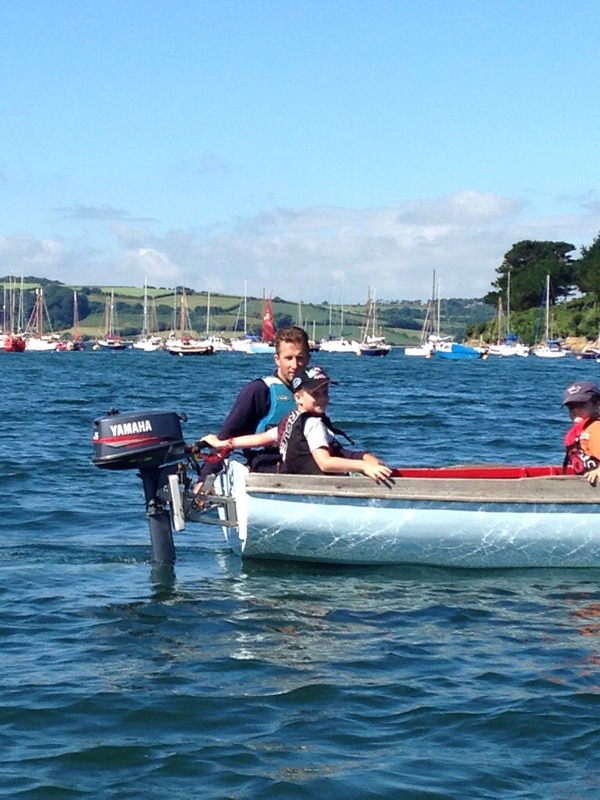 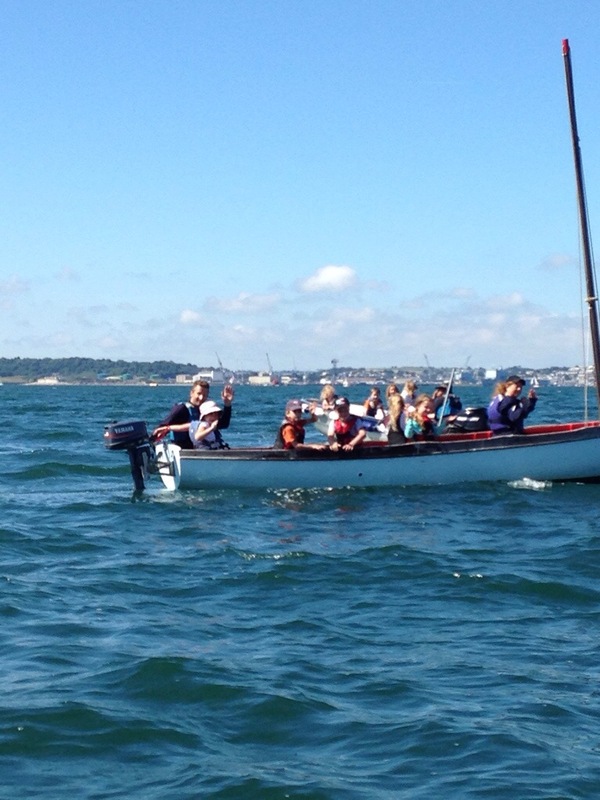 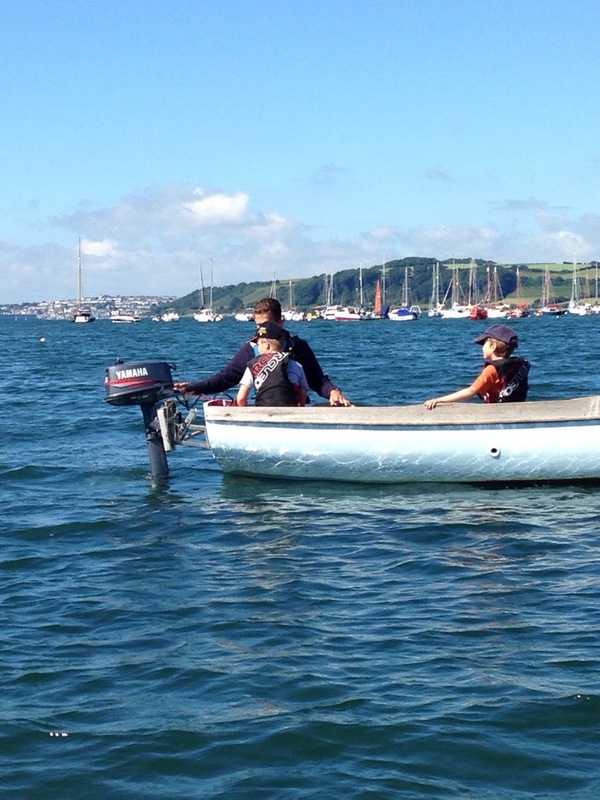 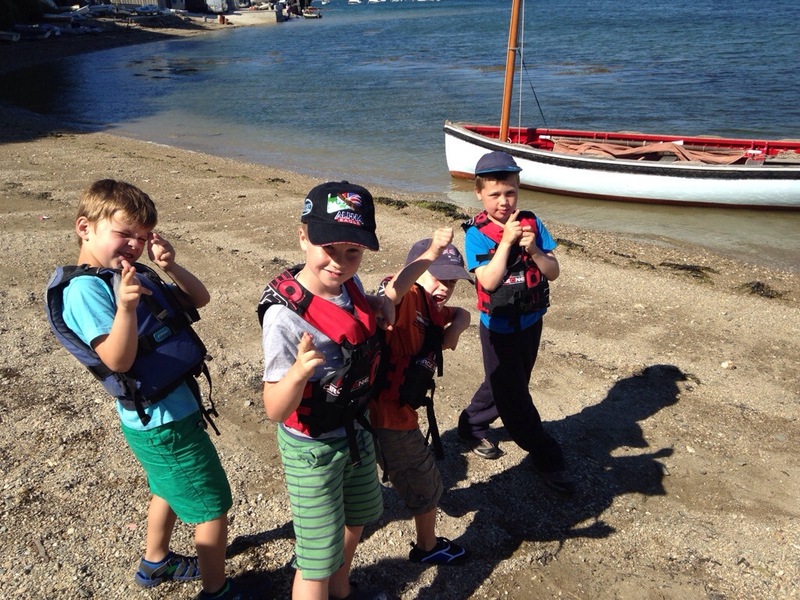 We divided ourselves into three crews and took part in sailing, canoeing and some free-time beach activities. 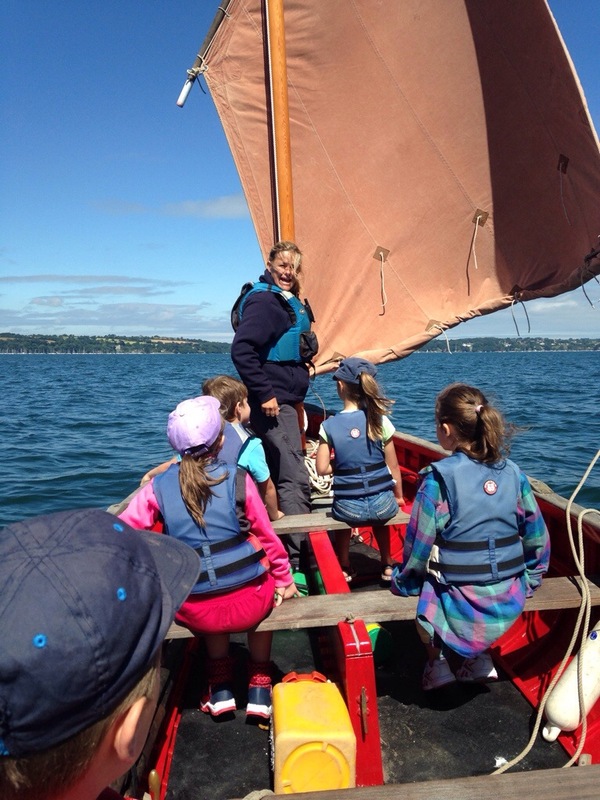 The sailing was super-duper, we started the engine and then hoisted the sail and away we sailed into the glistening waters. 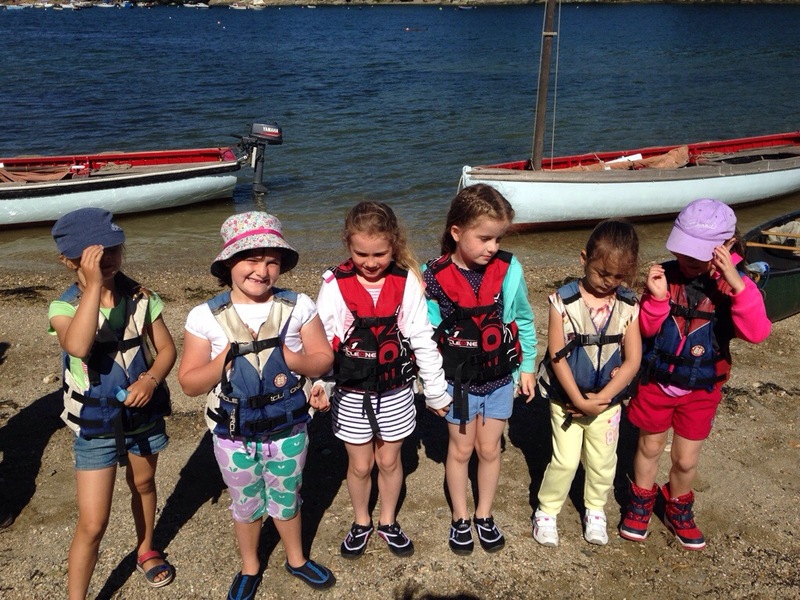 The canoeing was great fun! 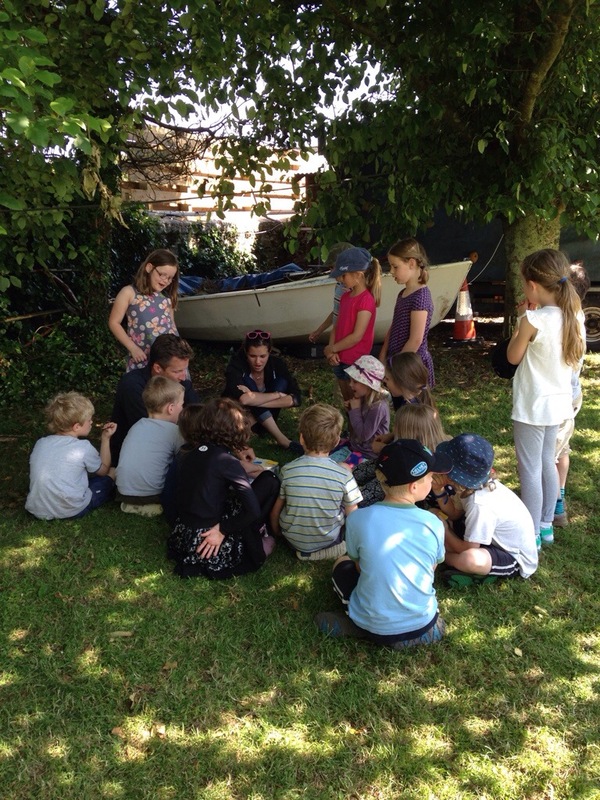 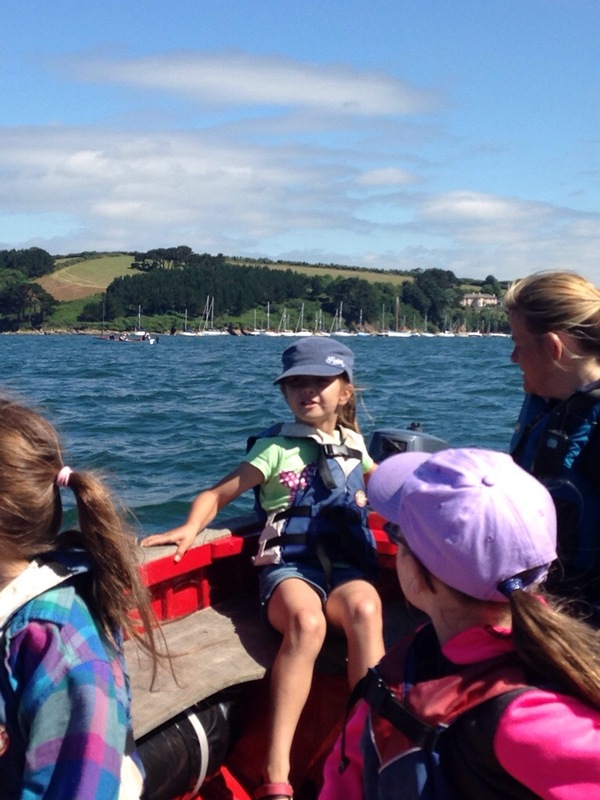 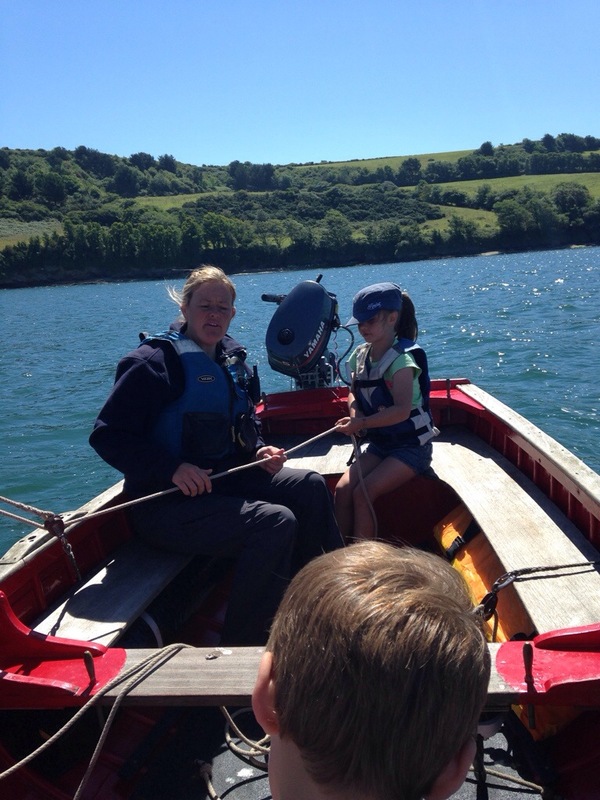 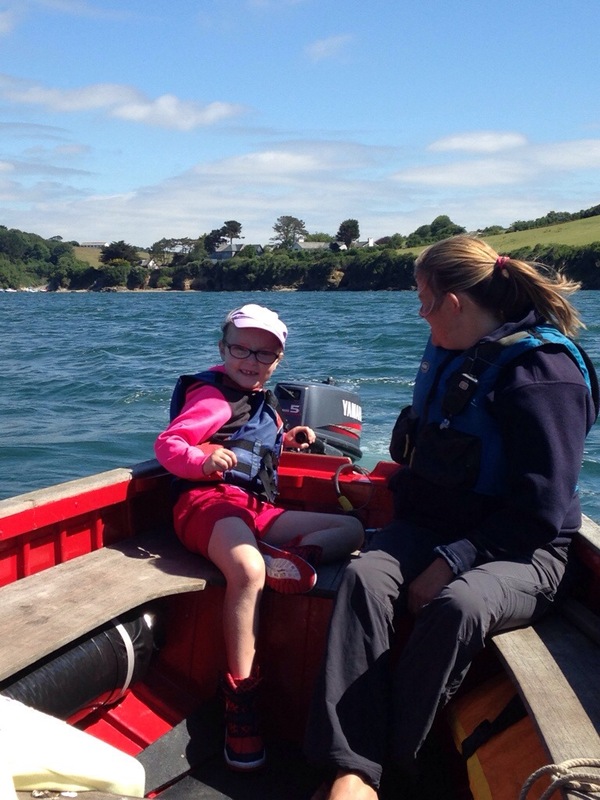 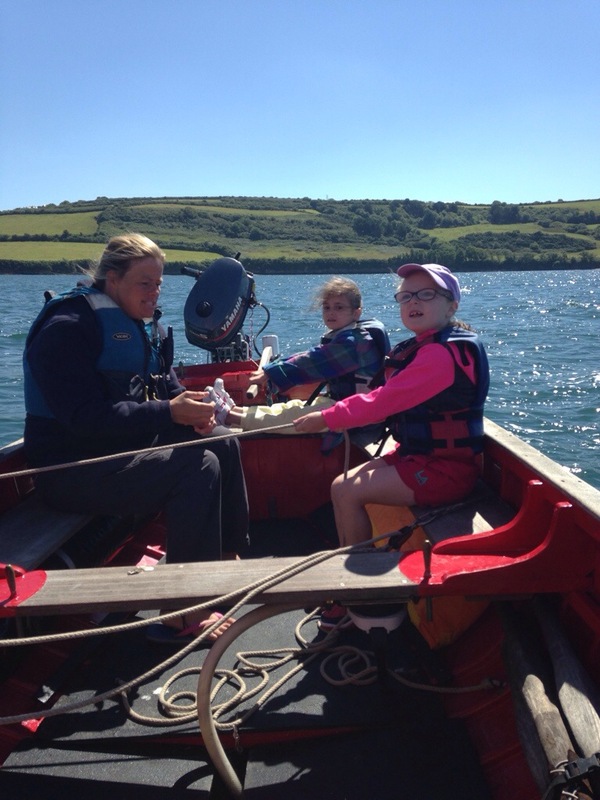 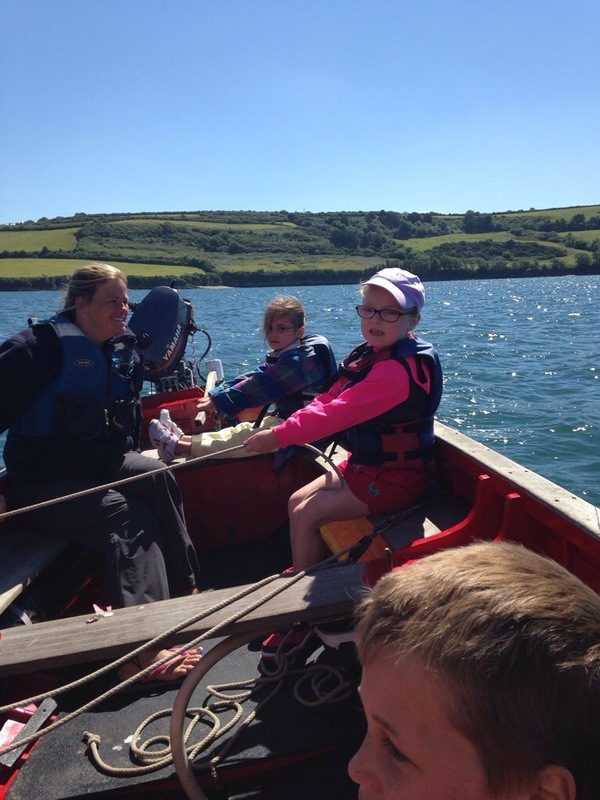 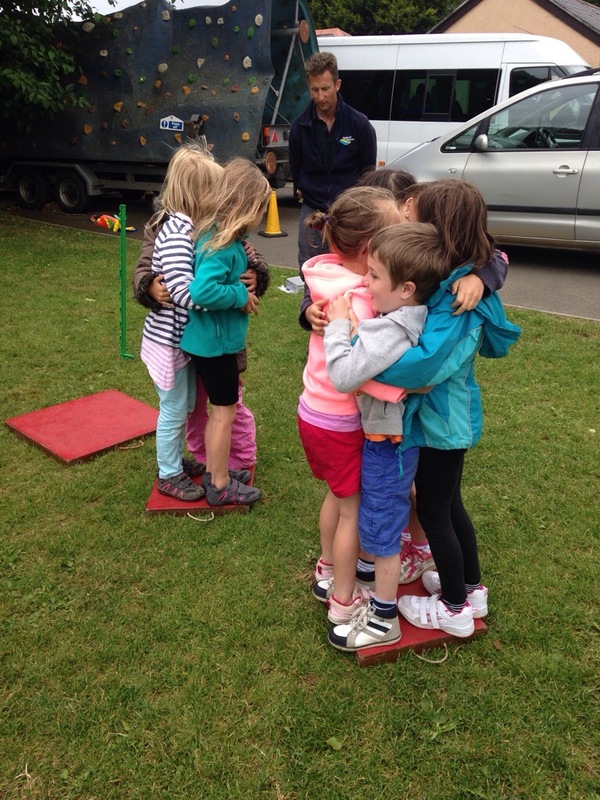 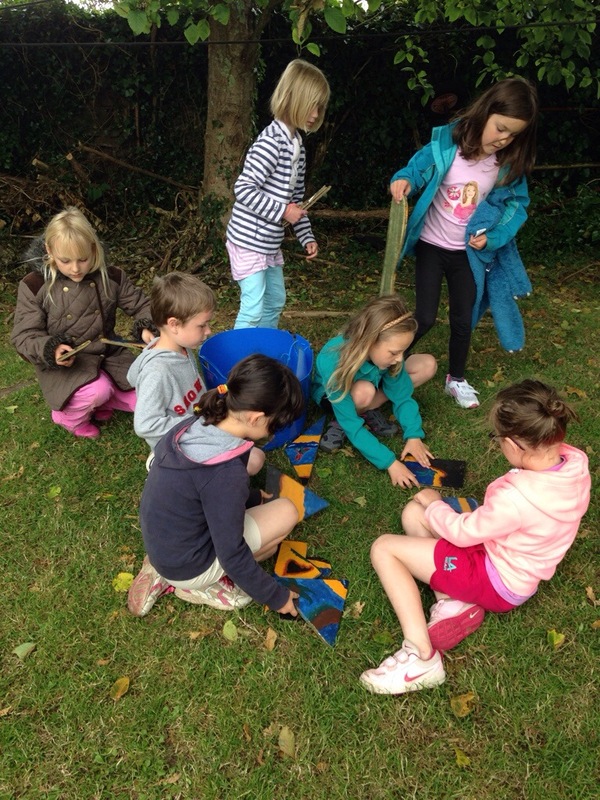 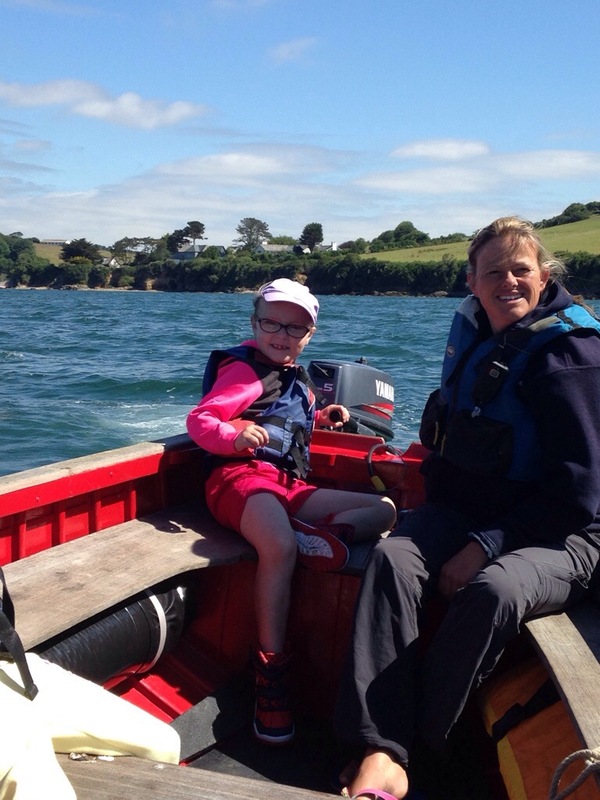 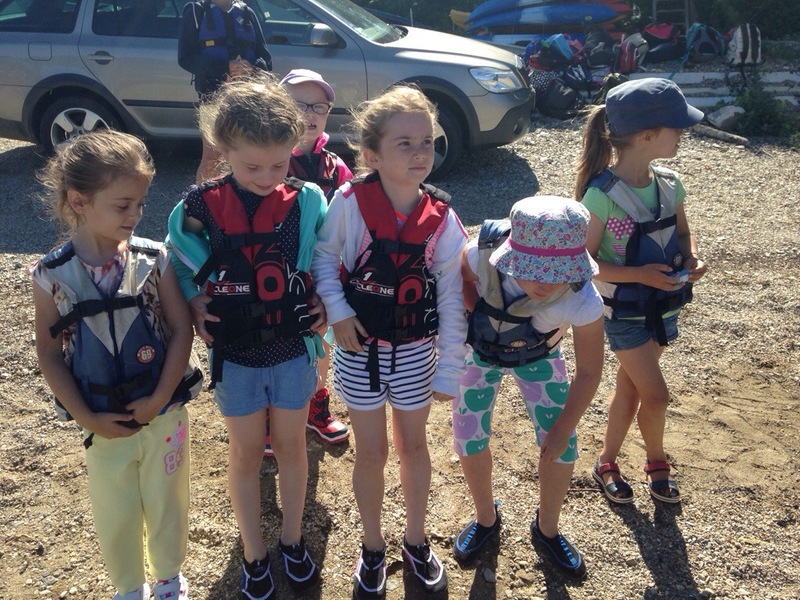 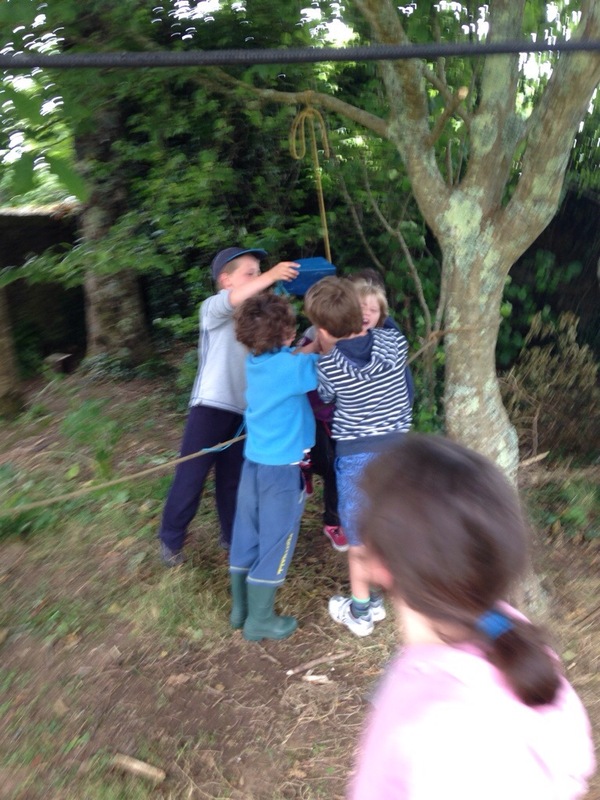 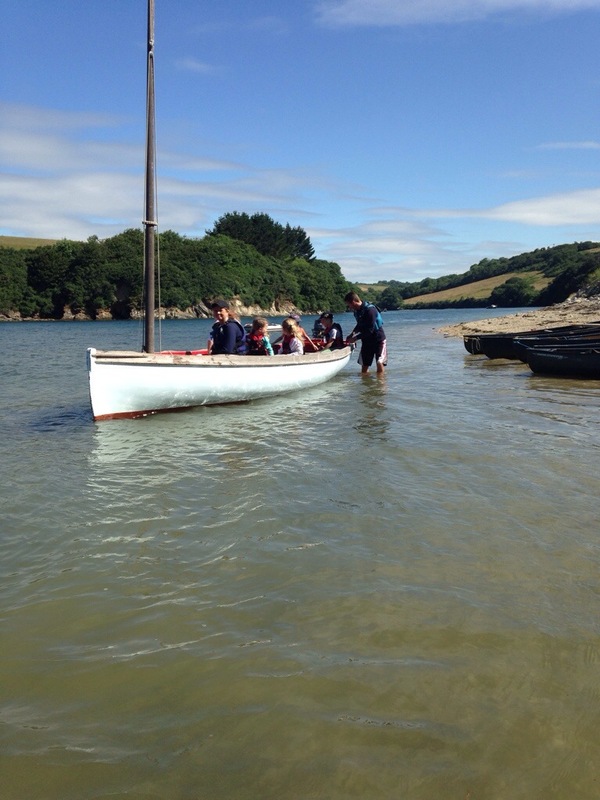 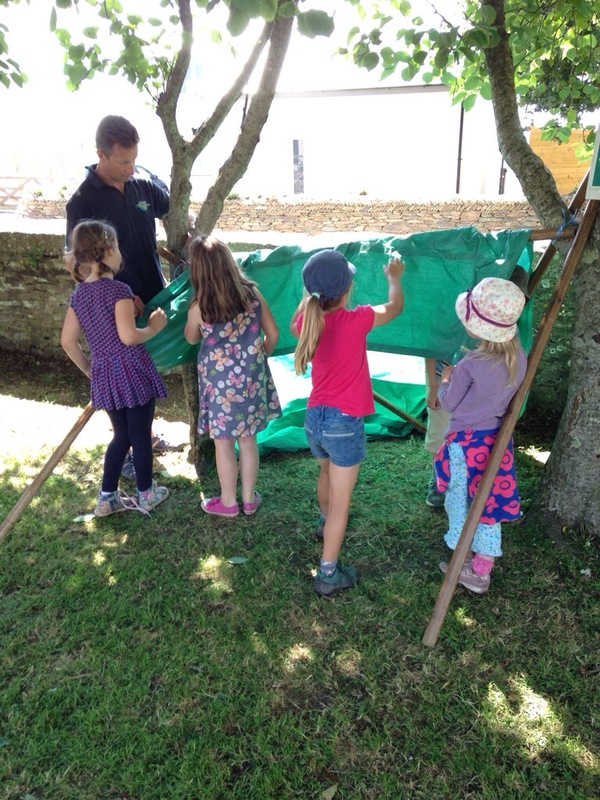 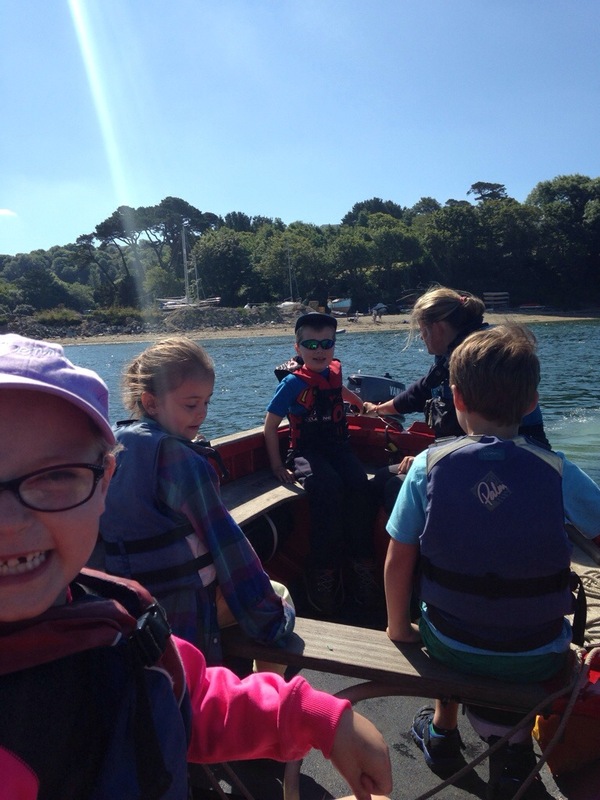 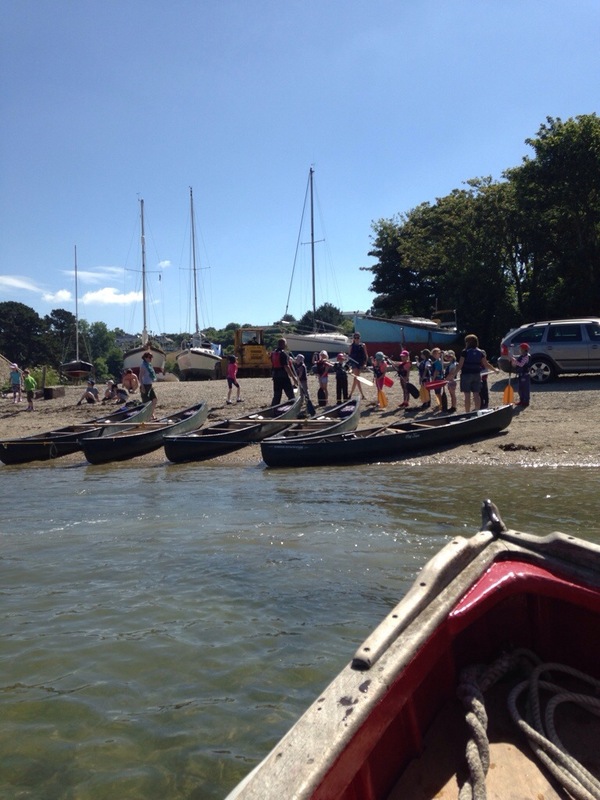 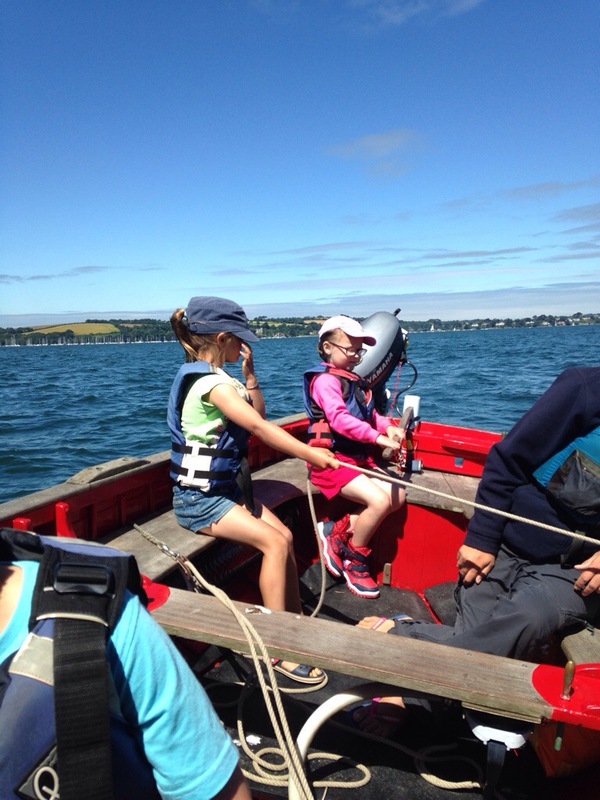 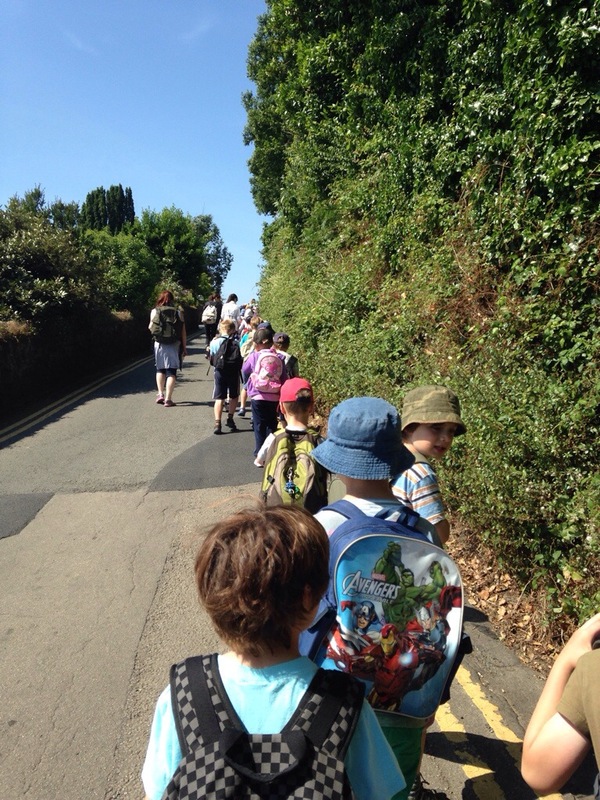 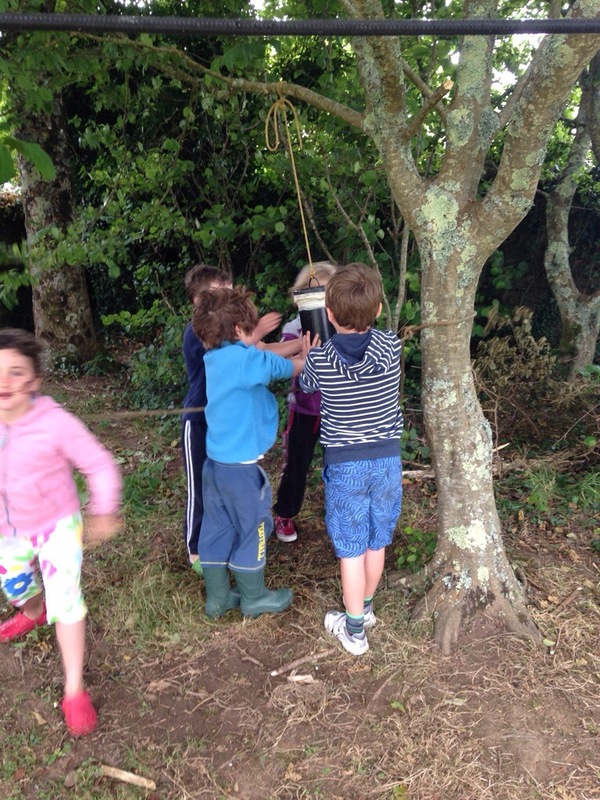 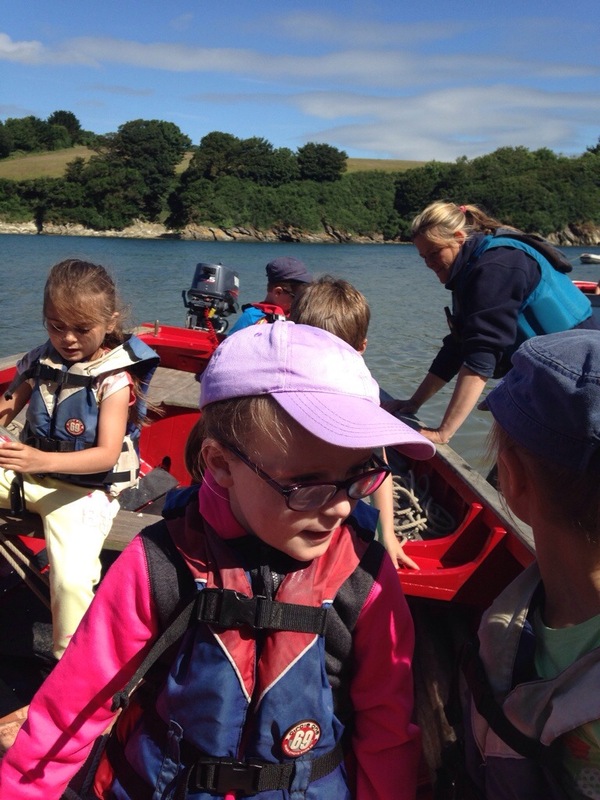 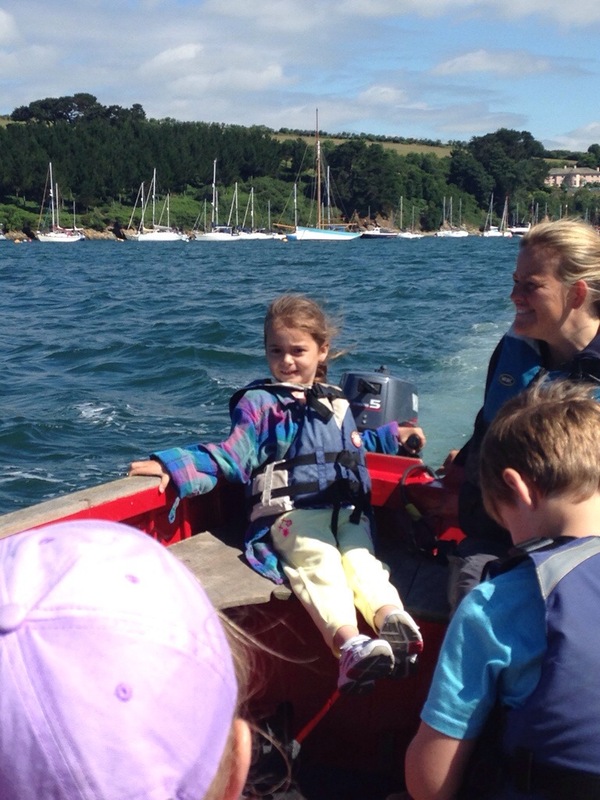 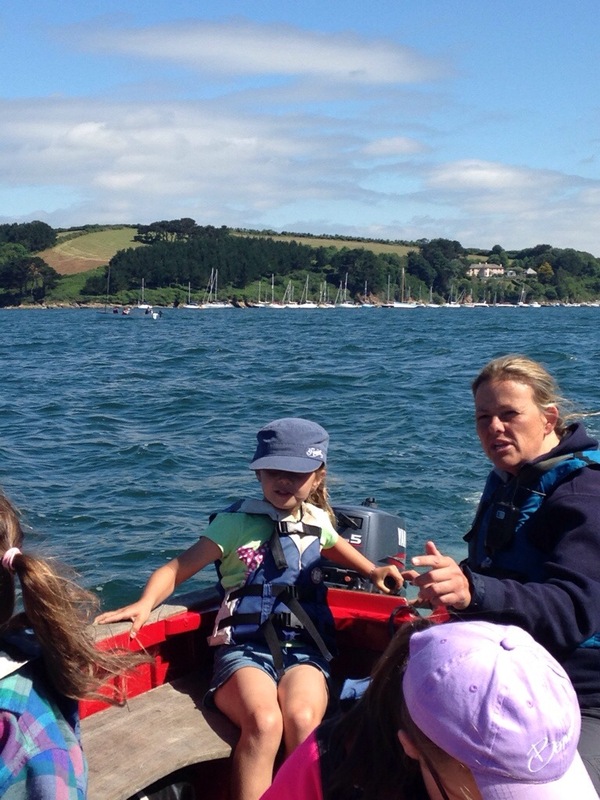 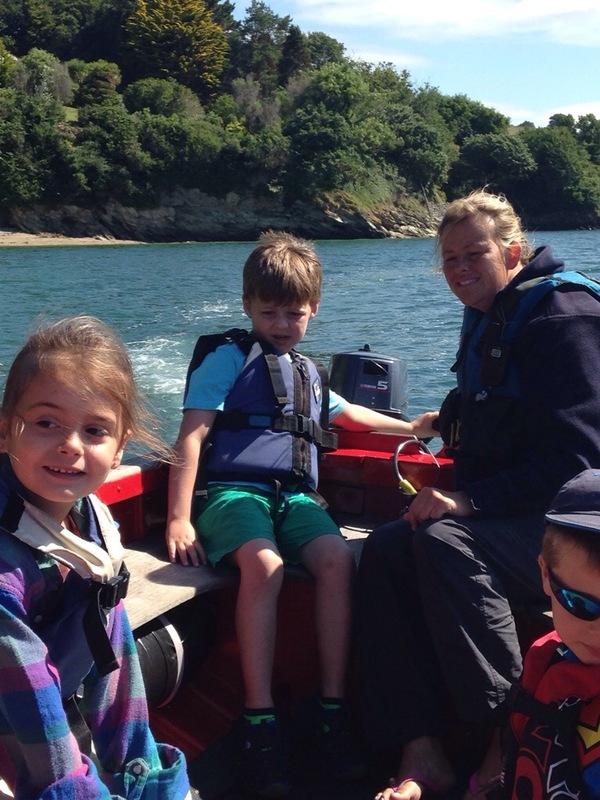 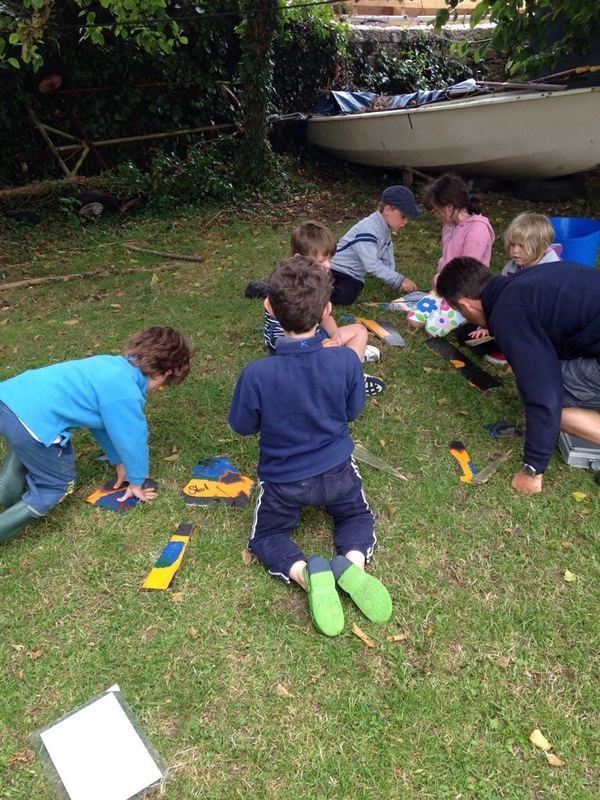 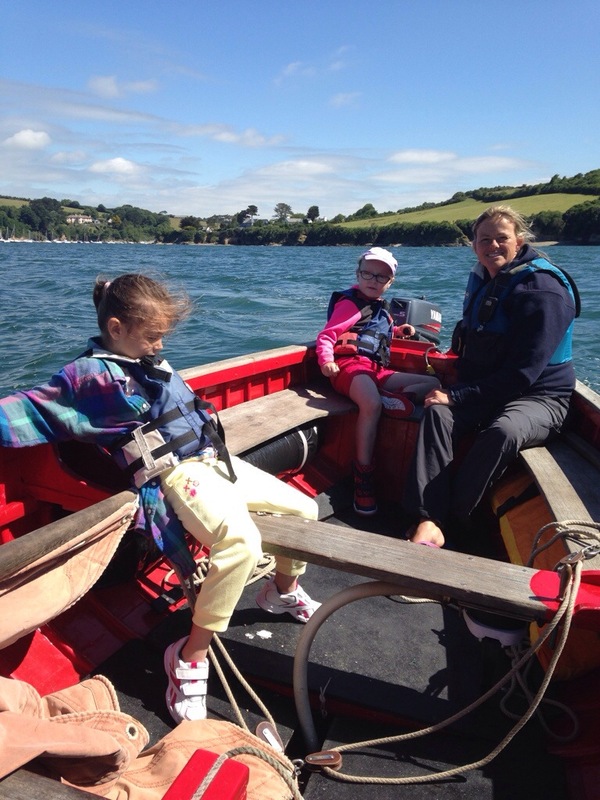 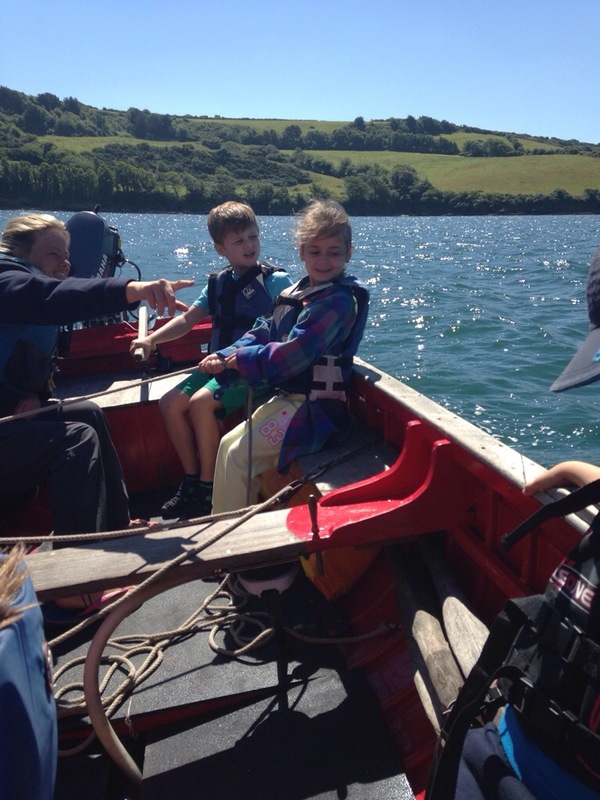 We were made to ‘walk the plank’ which involved walking between two canoes….but watch out for the CROCODILAPIGS!! 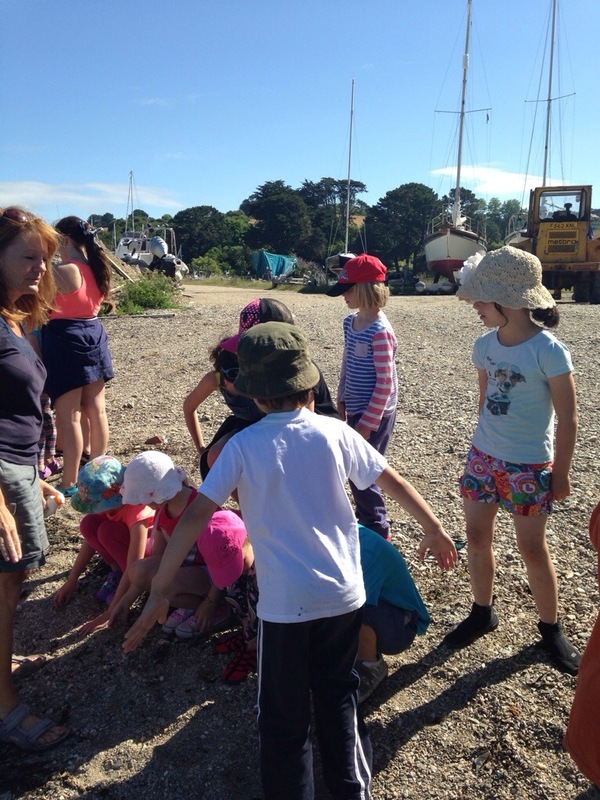 We visited Mermaid Island and created our very own mermaids out of shells, seaweed and stones. 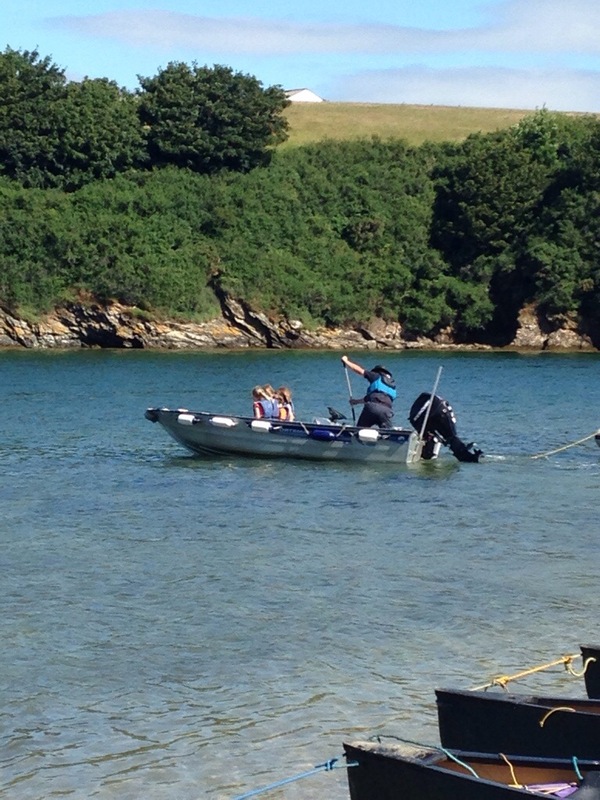 We are hoping they turn into real and magical mermaids tonight. 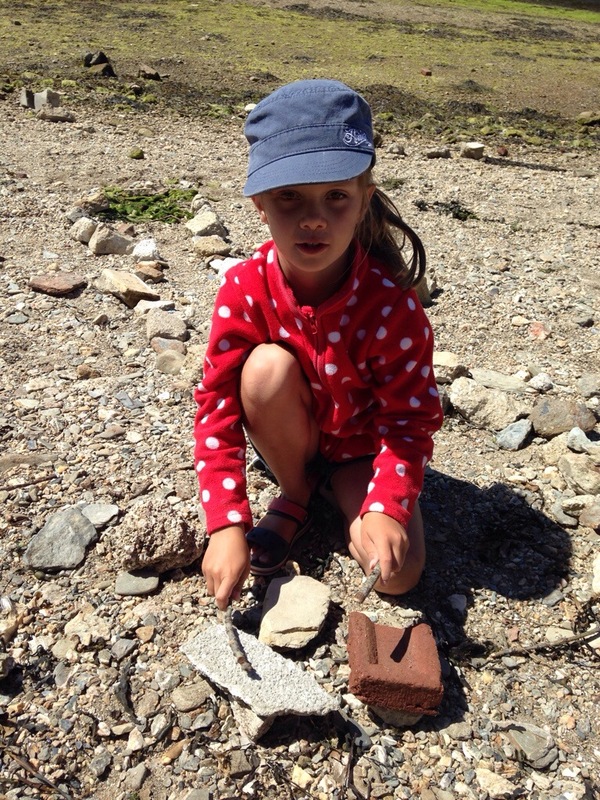 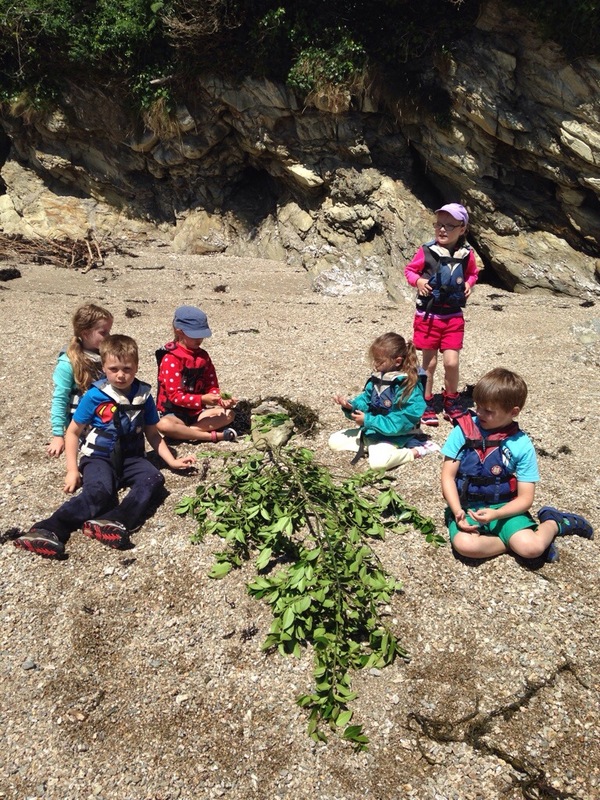 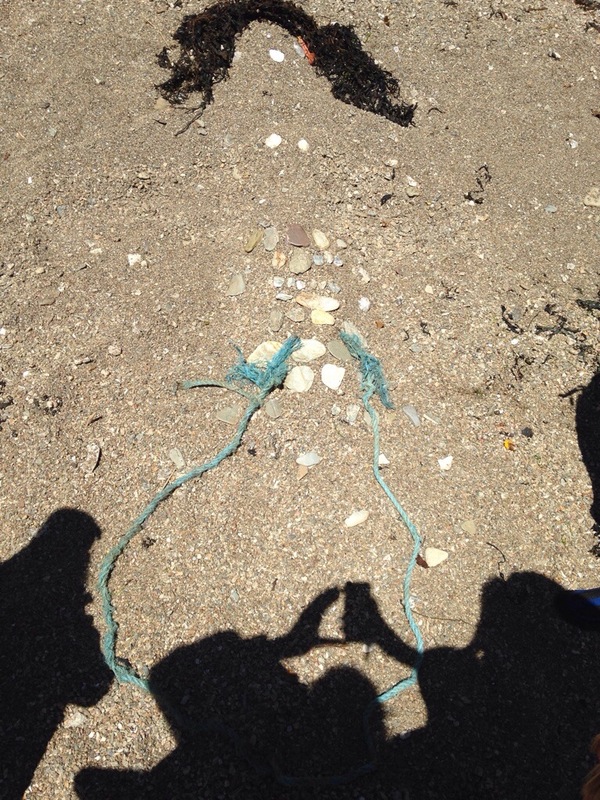 Lastly we spent some time on the beach making sculptures, looking for sea glass and searching for shells. 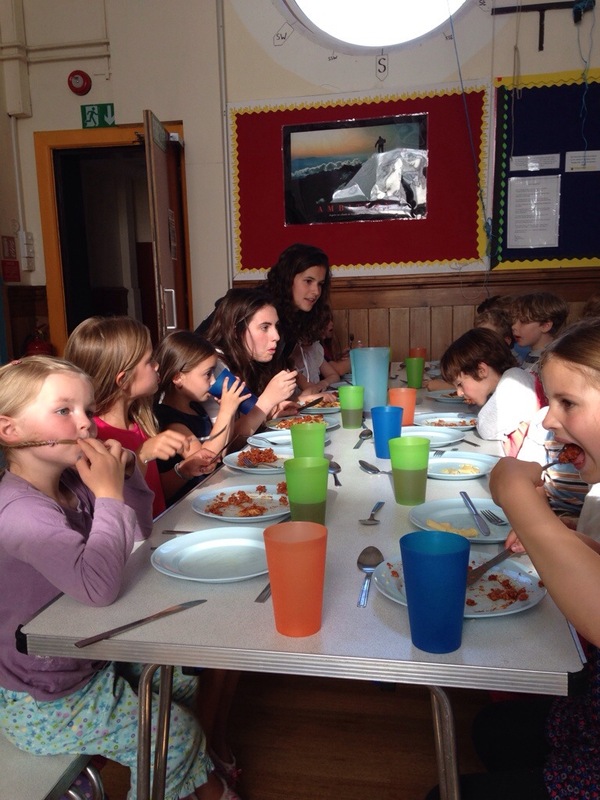 We’ve enjoyed yet another delicious dinner from Mrs Stanton (THANK-YOU!!) 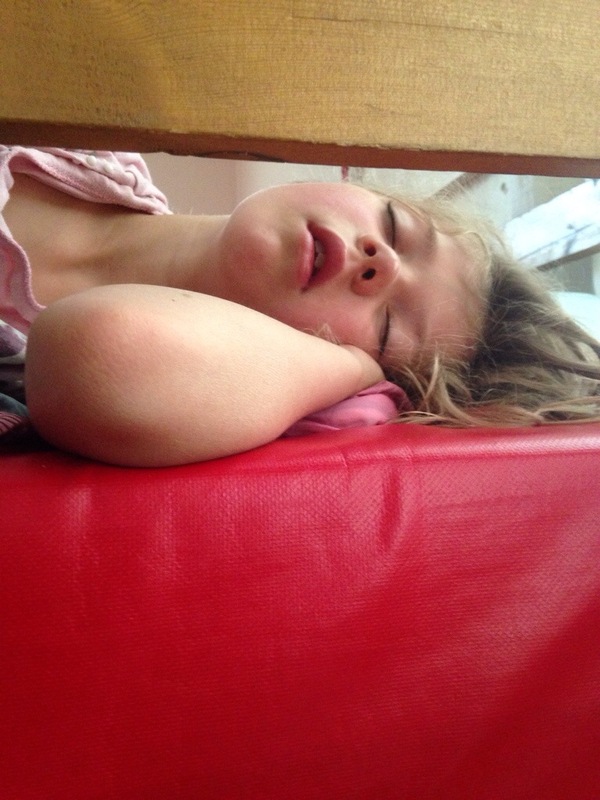 and now watching a film…the teachers are thinking it could be an early night…there are some sleepy faces!! 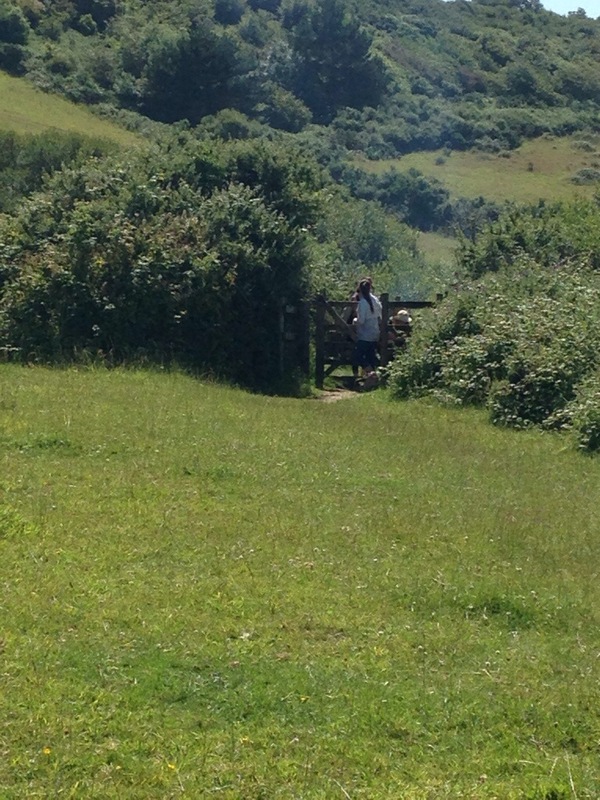 Photos will be on shortly. 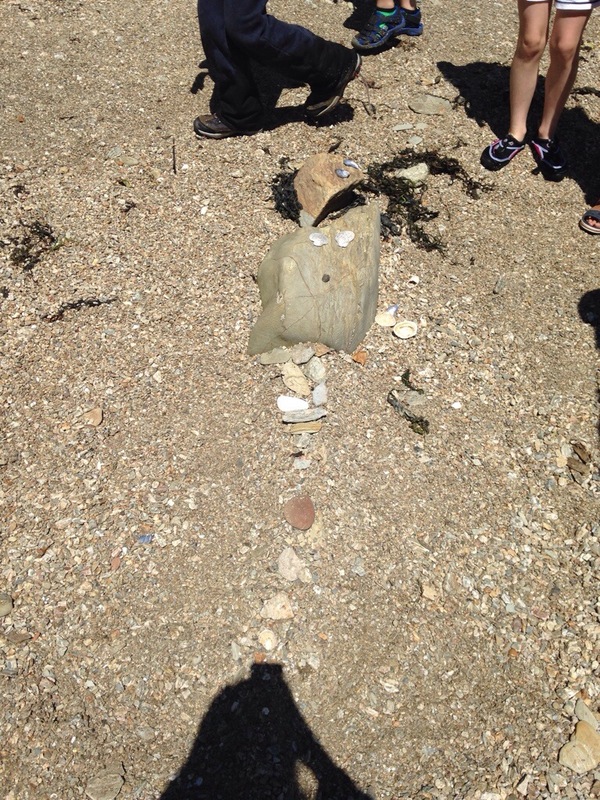 This entry was posted in Class 4, Class 5, Uncategorized, Year 2 Roseland on July 3, 2014 by bosvigo. 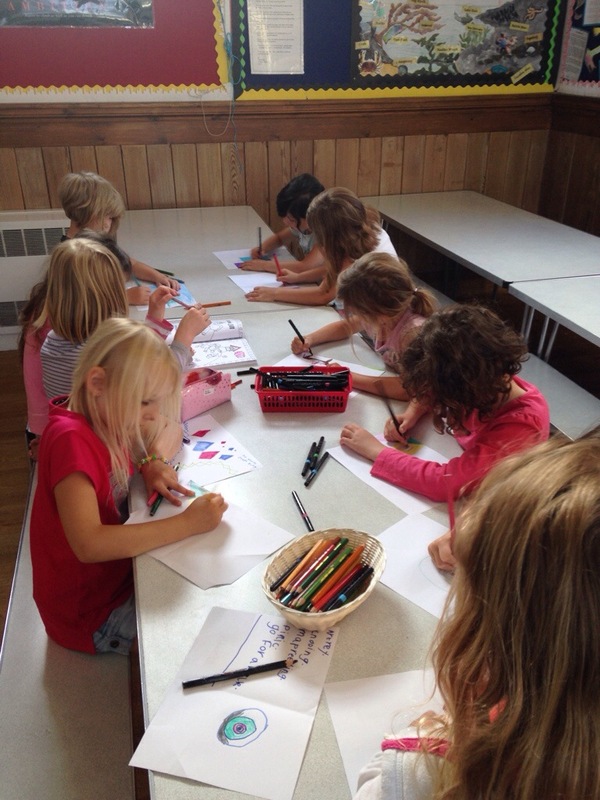 Creativity at 6:30am. 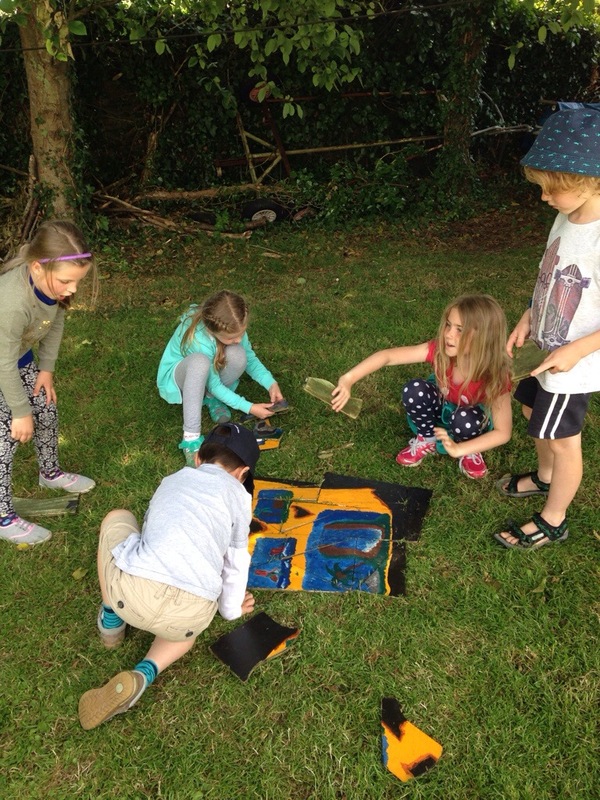 Miss Williams is glad the year 6 art club is after school! 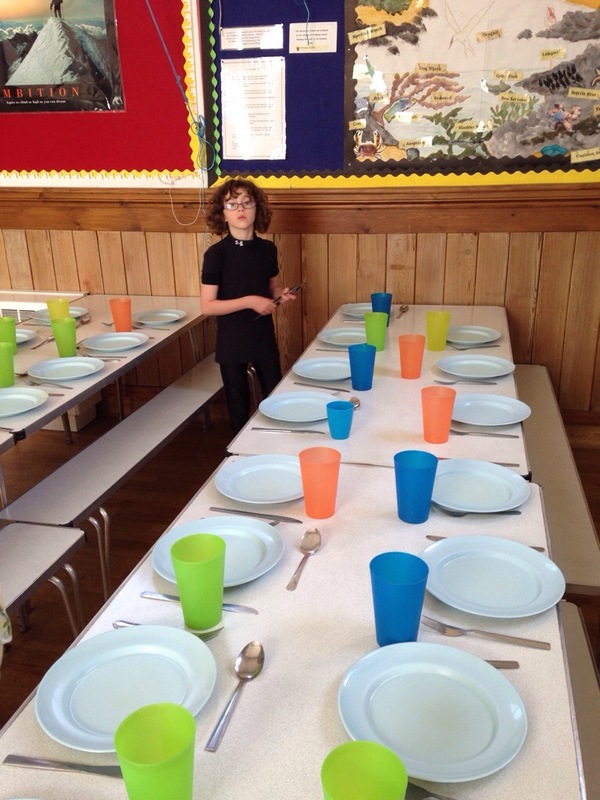 All dressed and ready for breakfast. 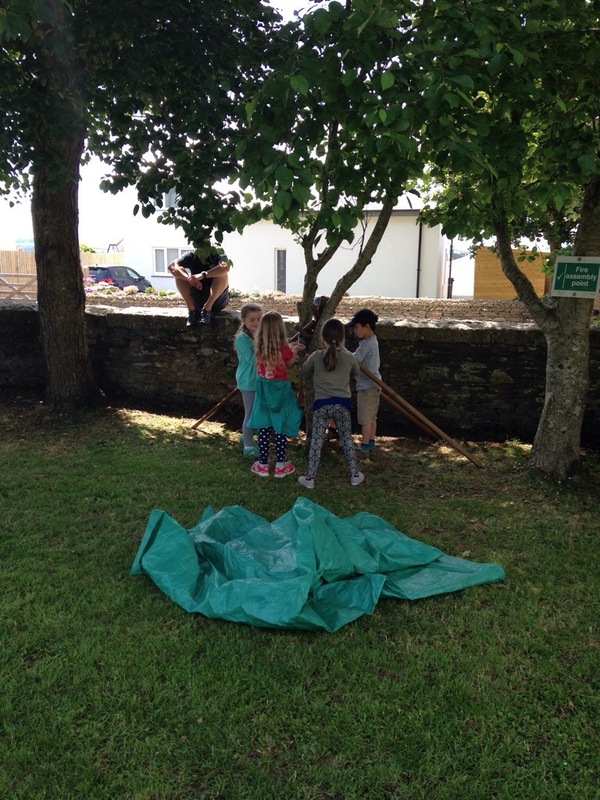 This entry was posted in Class 4, Class 5, Uncategorized, Year 2 Roseland on July 2, 2014 by bosvigo. 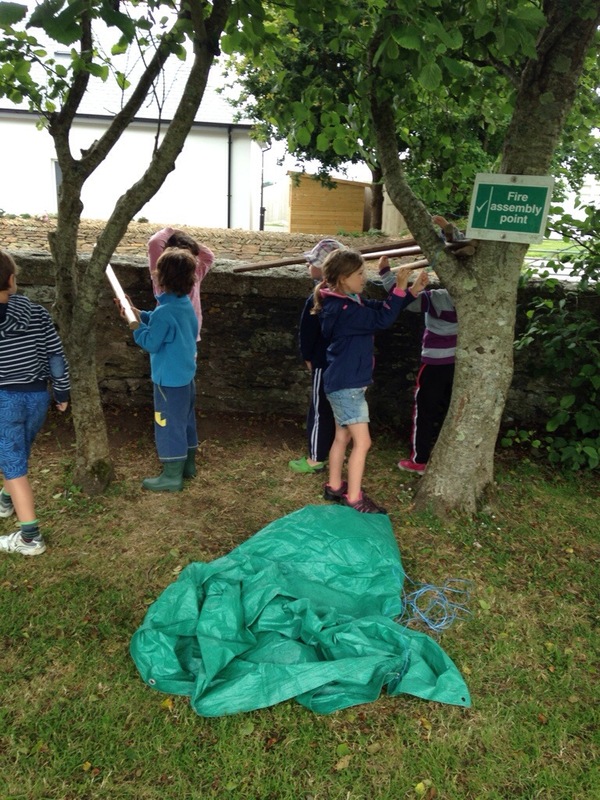 Maps, forces and lots of muddy puddles! 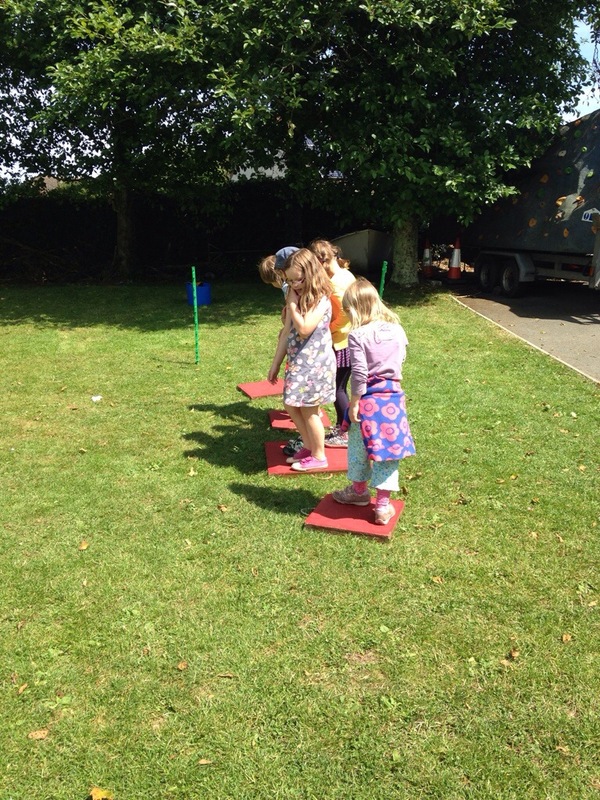 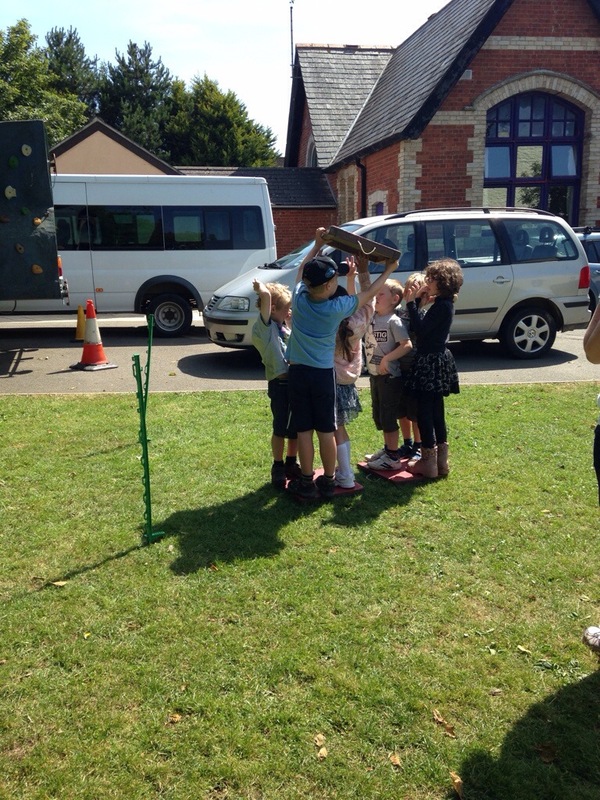 Class Four were delighted that the sun came out on the afternoon of February 13th, as it meant they could finally help The Friends of Boscawen Park with ideas for a brand new play park. 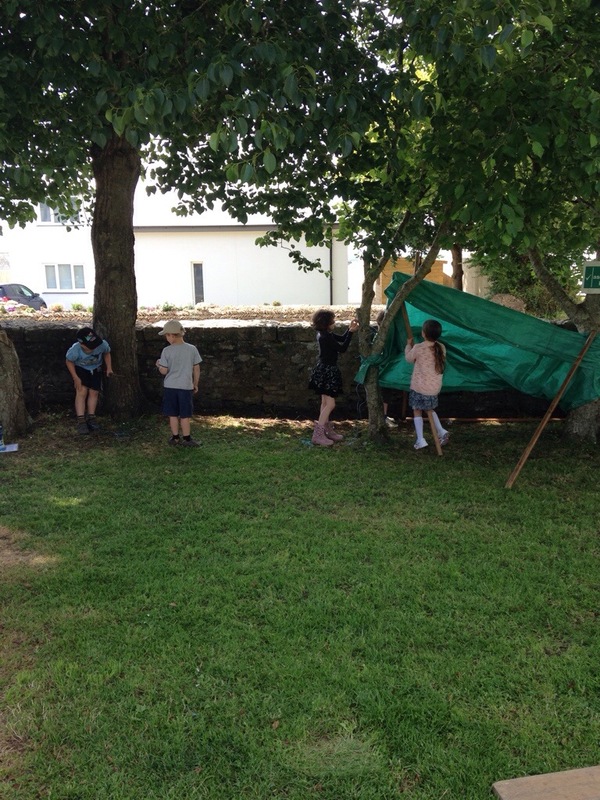 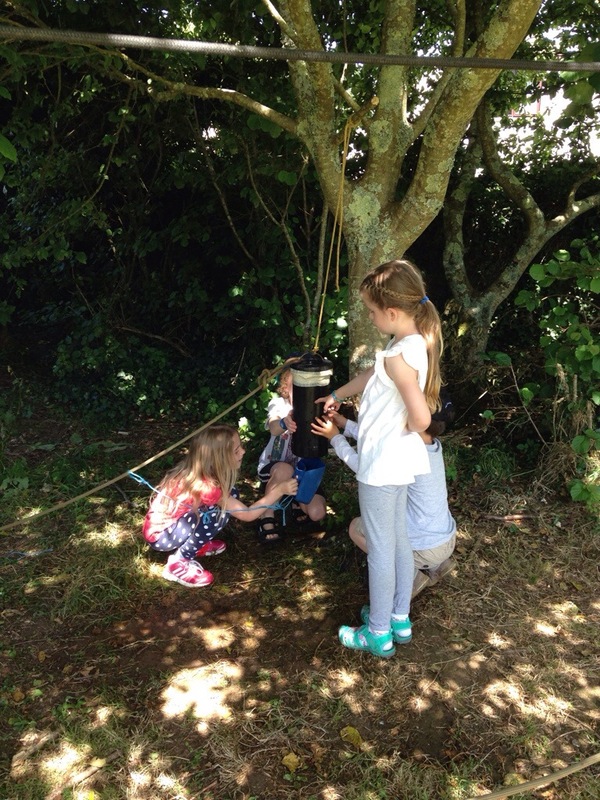 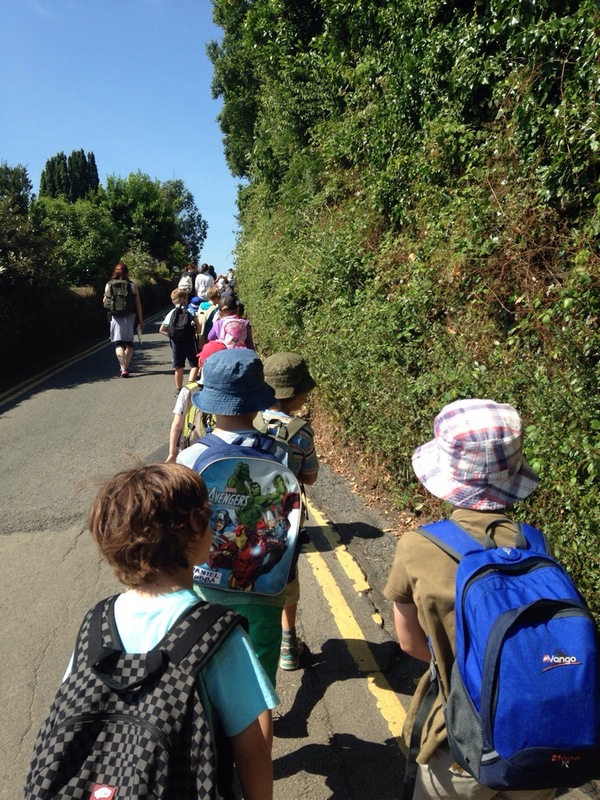 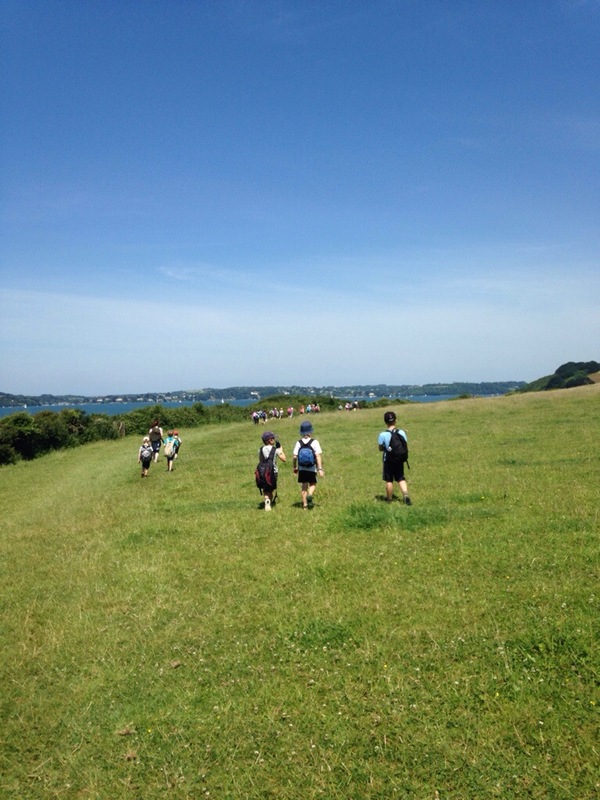 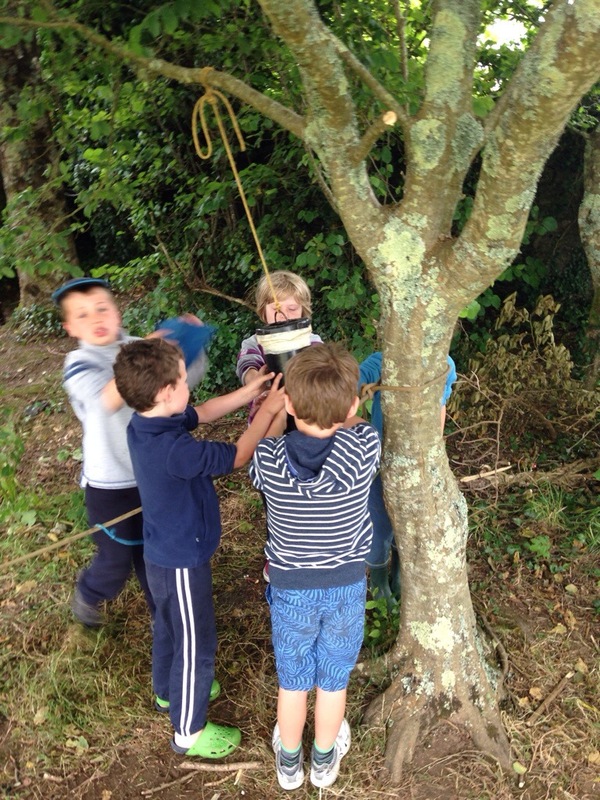 The children had spent weeks in the classroom improving their map skills and were extremely excited to use what they had learnt out in the field! 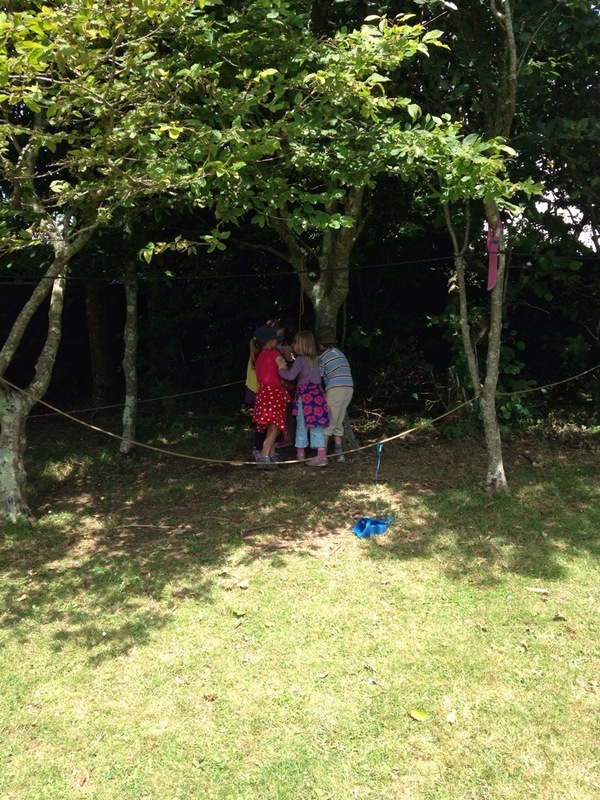 So with clipboards at the ready, they began to map the park. 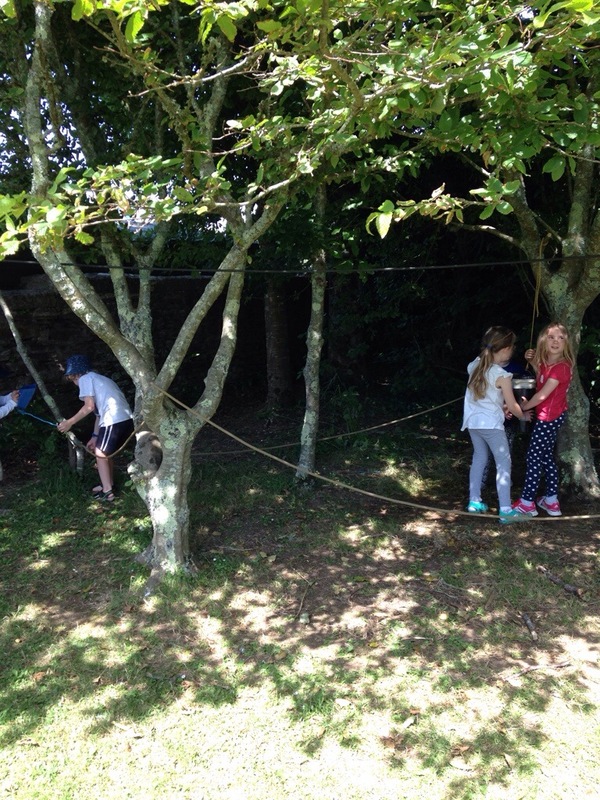 They worked carefully in pairs to ensure they were as accurate as possible, taking note of the features they liked and features they weren’t so keen on. 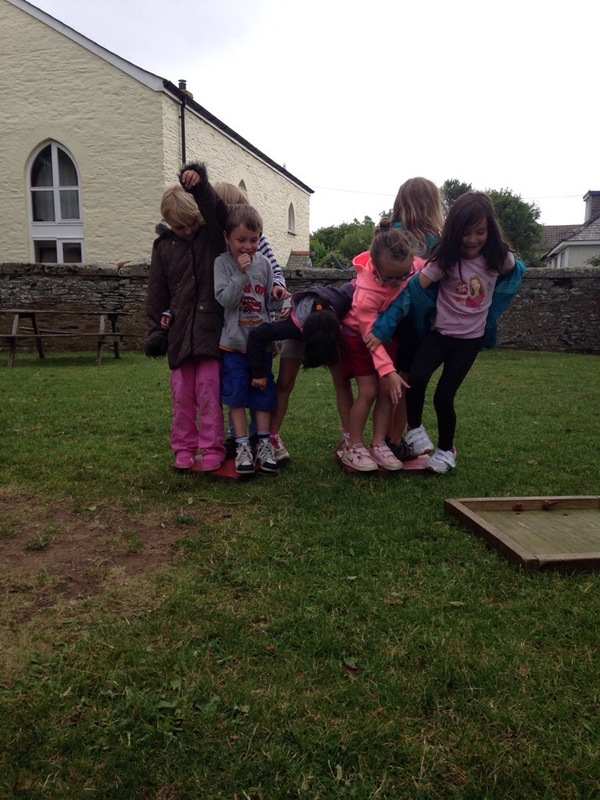 Everyone agreed the fast spinner needed to stay! 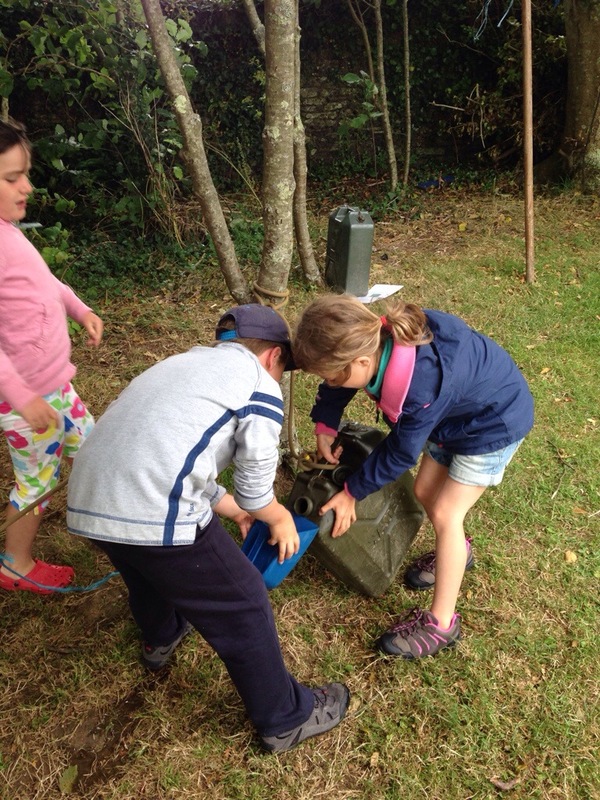 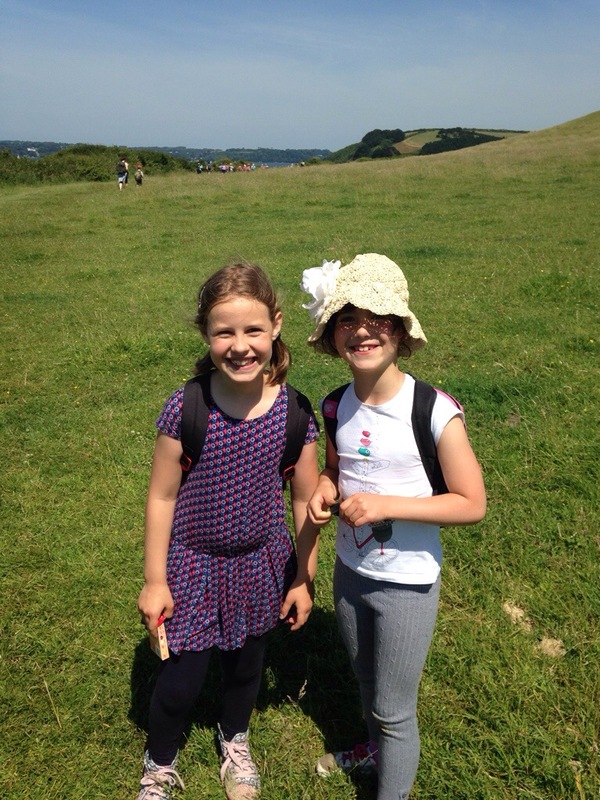 They also managed to carry out some of the science tasks they missed out on when their trip to Loe Beach was rained off. 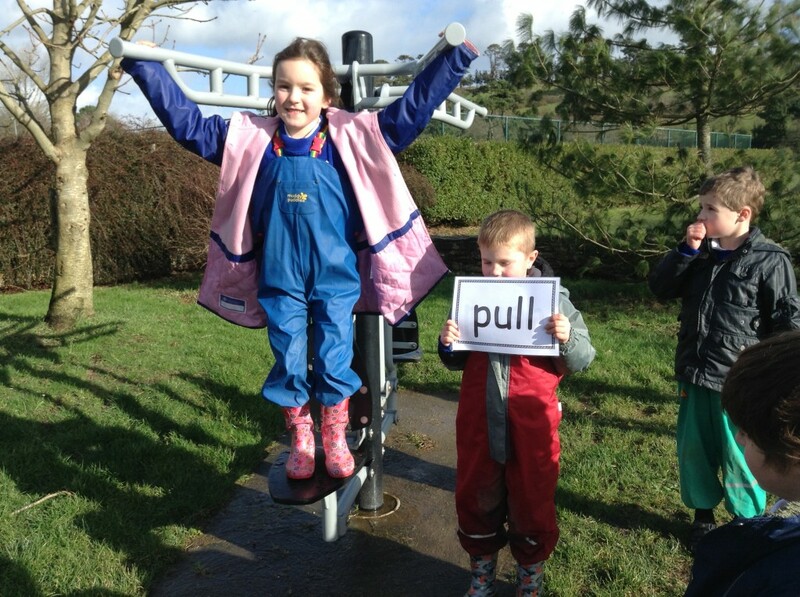 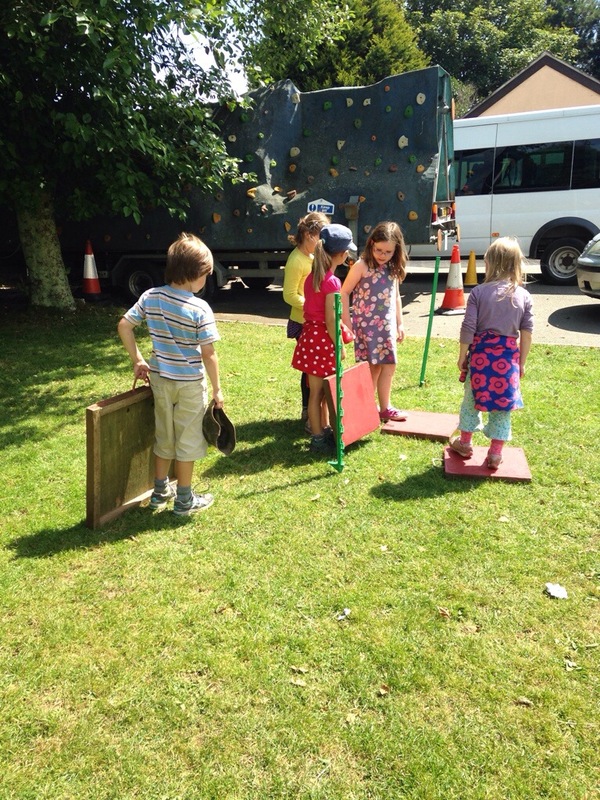 The children explored the forces needed to work the exercise machines surrounding the park, and needed no encouragement to investigate which forces were in action whilst actually playing on the equipment! 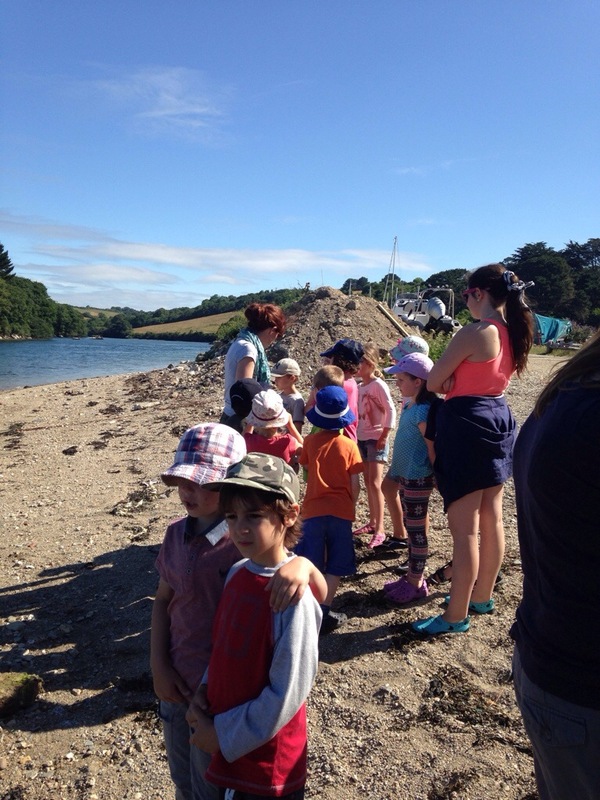 They ended the afternoon with a spot of bird watching. 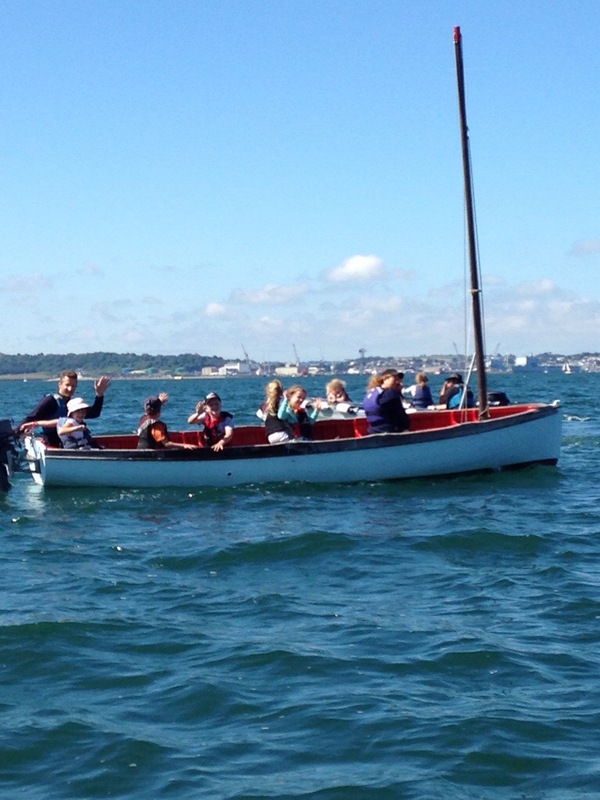 Although, despite sitting completely still and silent for 2 minutes, the only bird they could tick off their spotter sheet was the seagull! 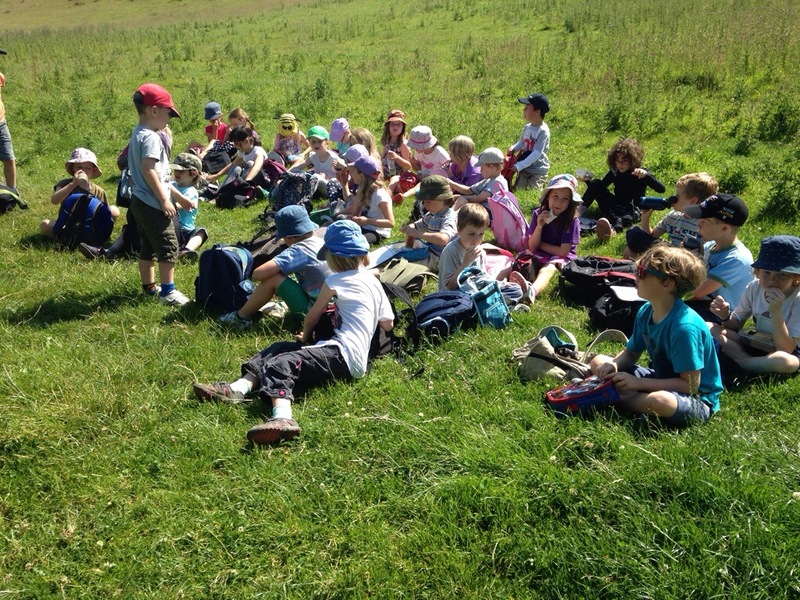 However, this didn’t dampen Class Four’s spirits. 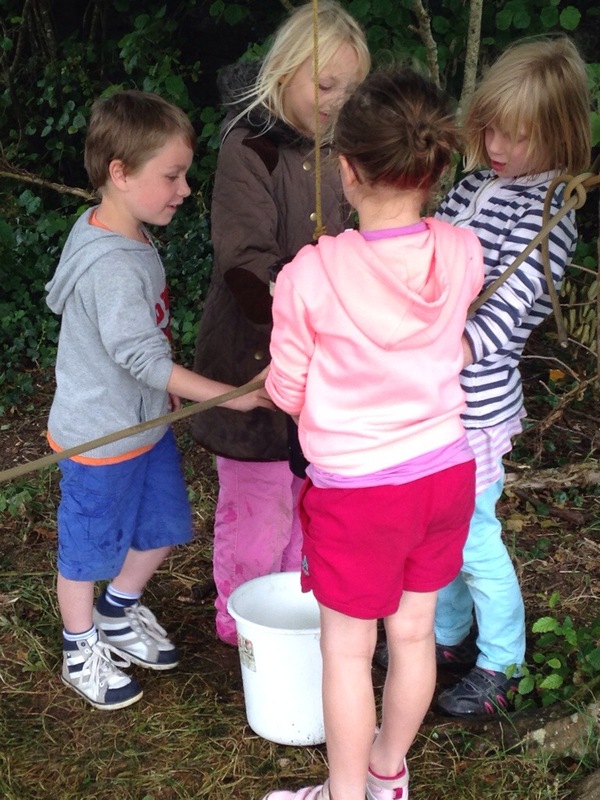 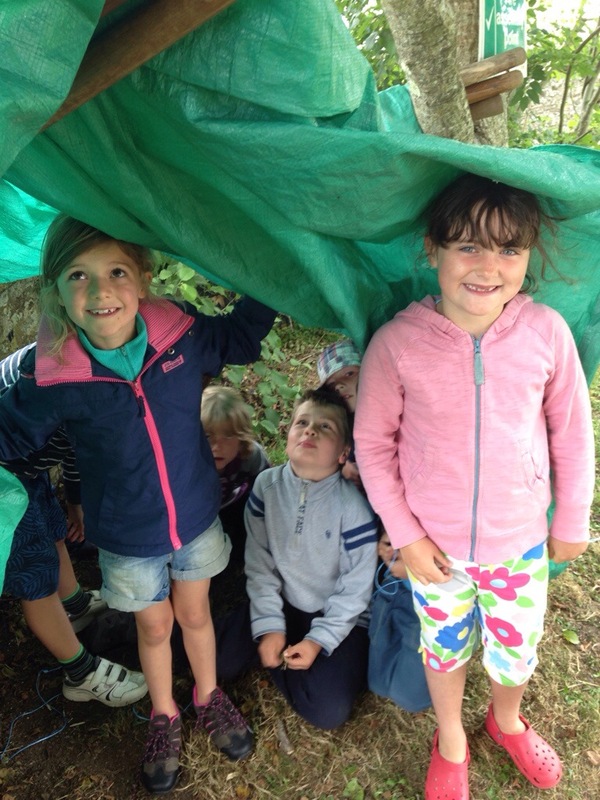 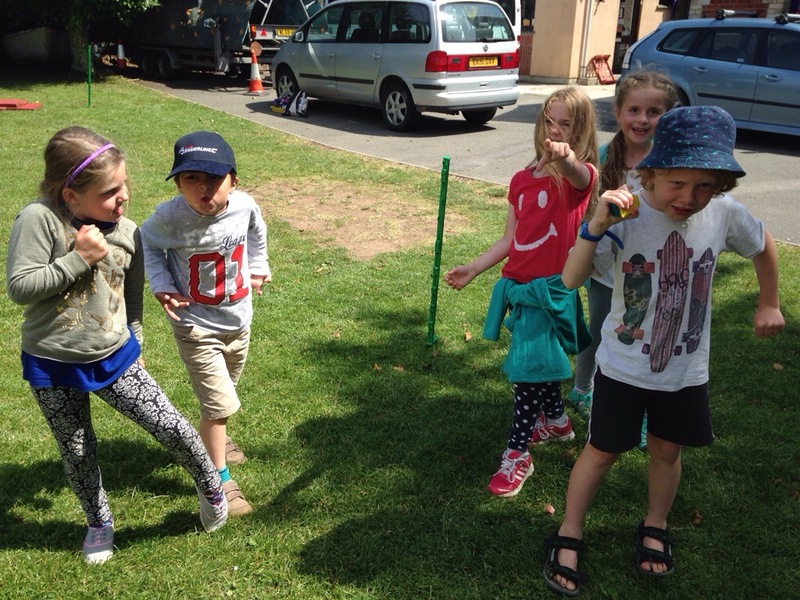 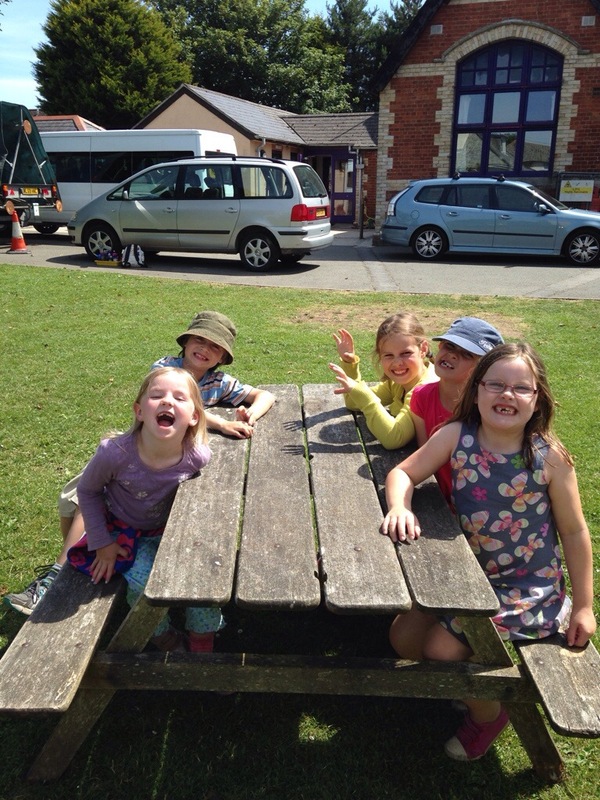 They happily splashed their way back through the many muddy puddles, to the mini buses, with their minds full of ideas of how they could make Boscawen Park a better place for everyone. 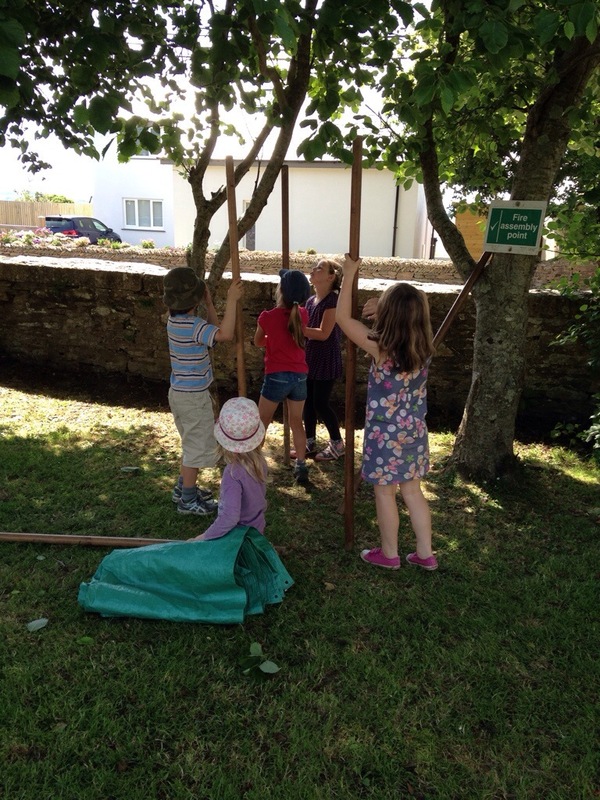 They have now created their designs which include tunnels, bridges and lots of water play and we will soon be able to share these with you on our new display boards outside Class Four. 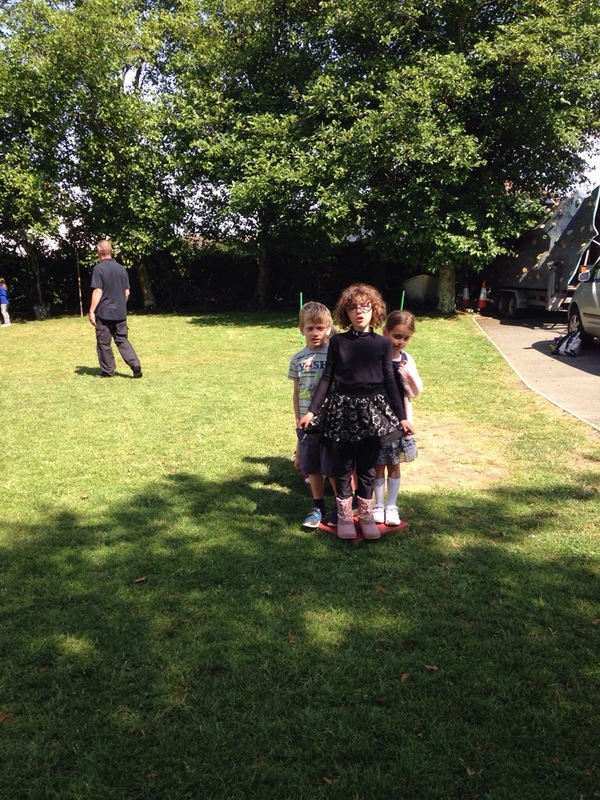 This entry was posted in Class 4, Uncategorized on March 4, 2014 by bosvigo.